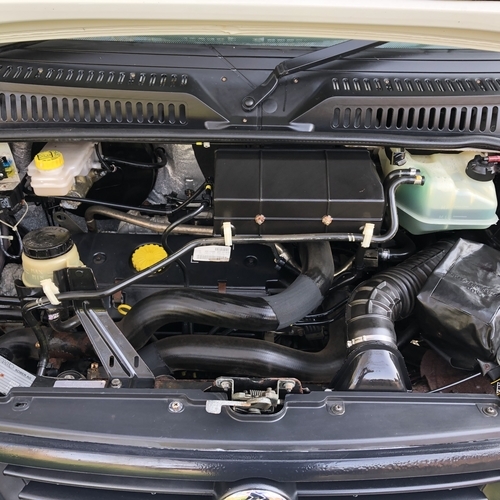 Only 34697 miles from new by 3 previous owners. 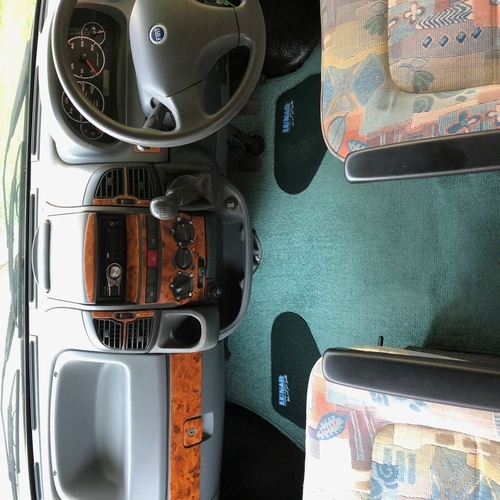 To drive this Lunar Roadstar you need to have a category C1 on your driving licence. 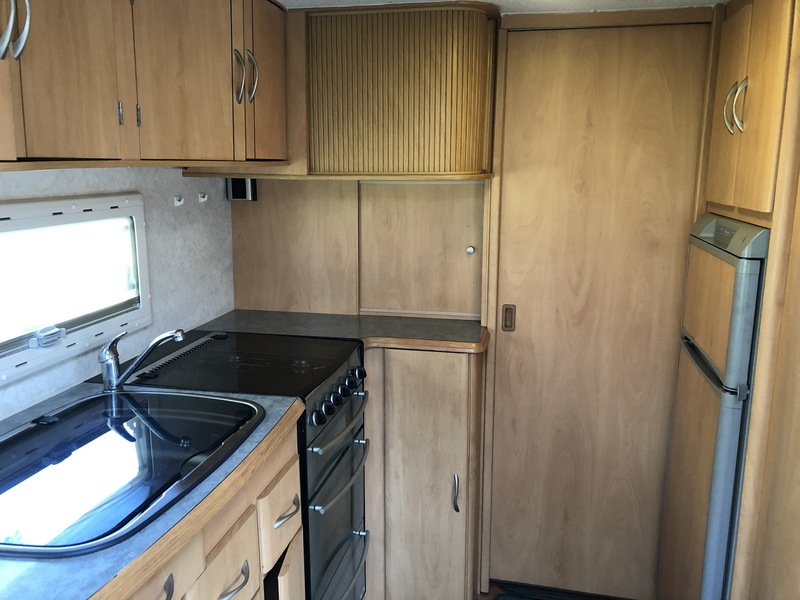 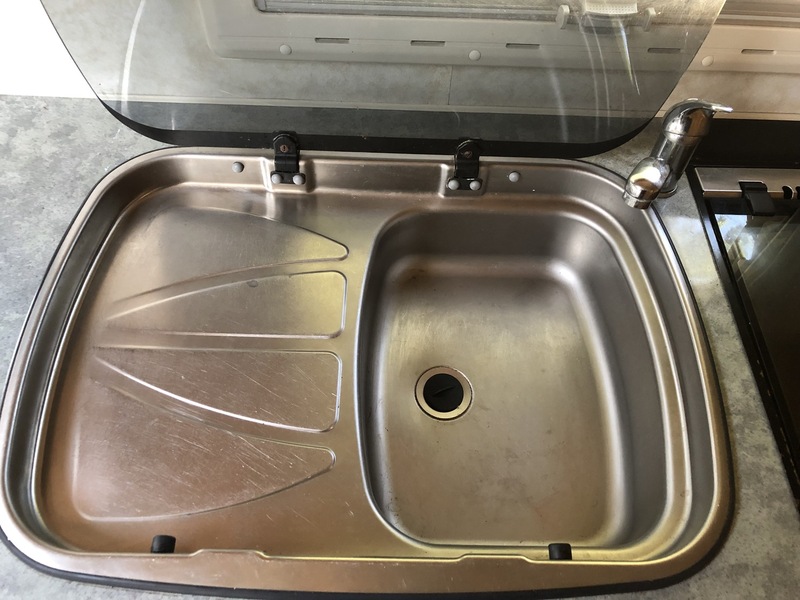 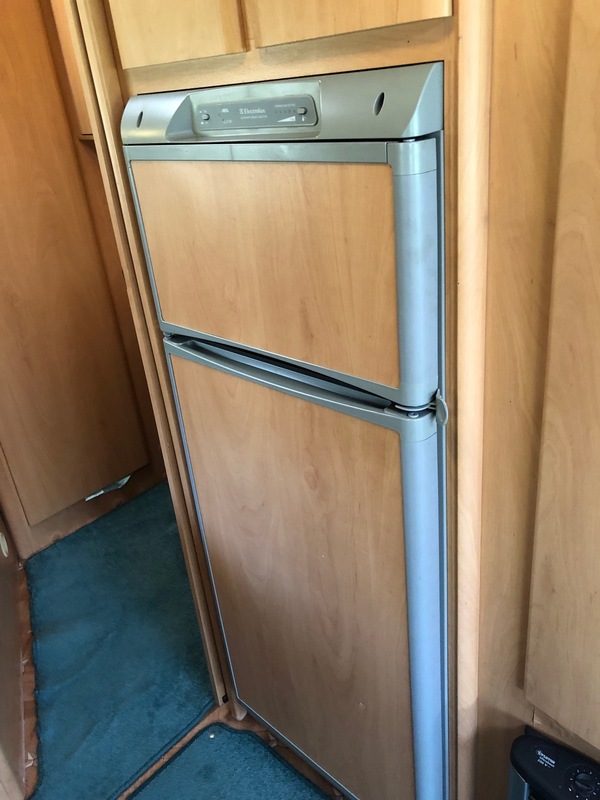 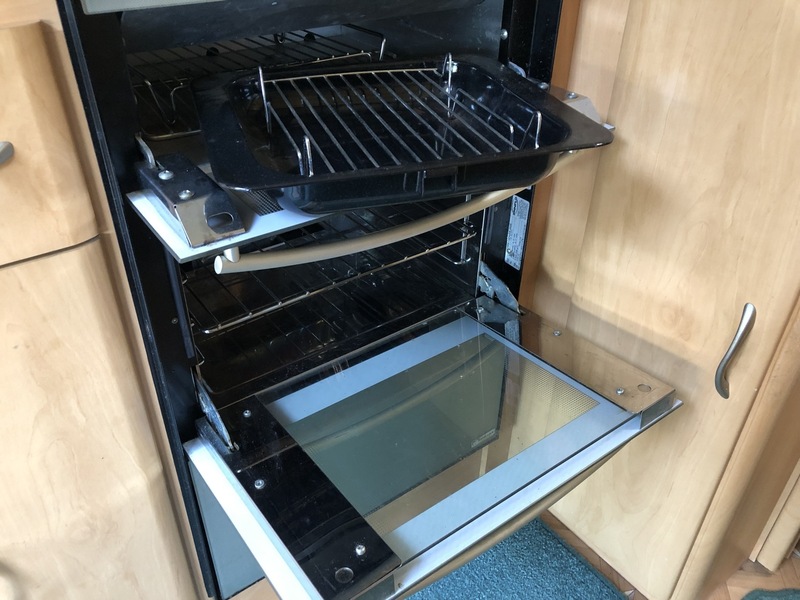 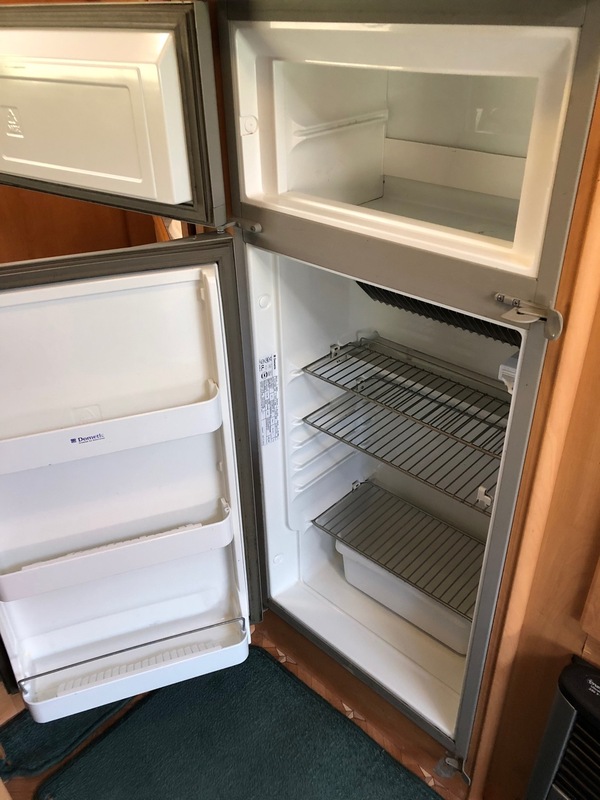 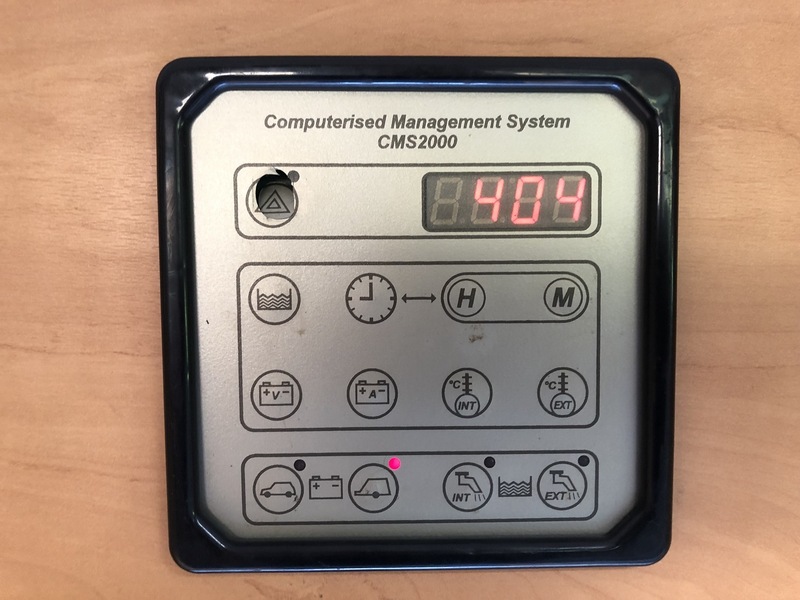 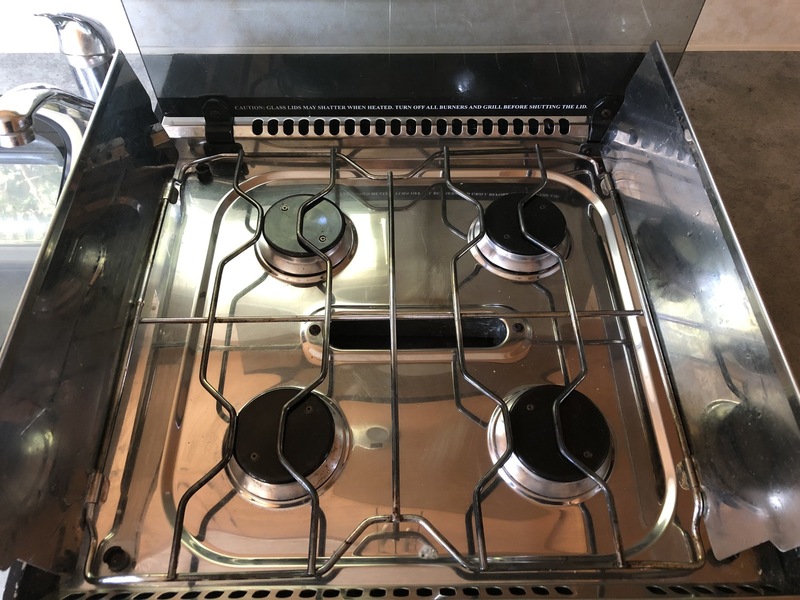 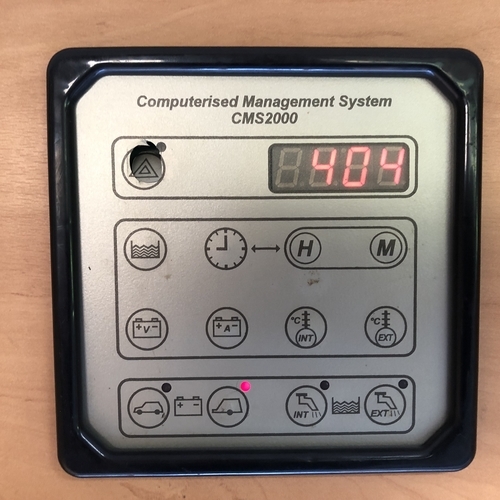 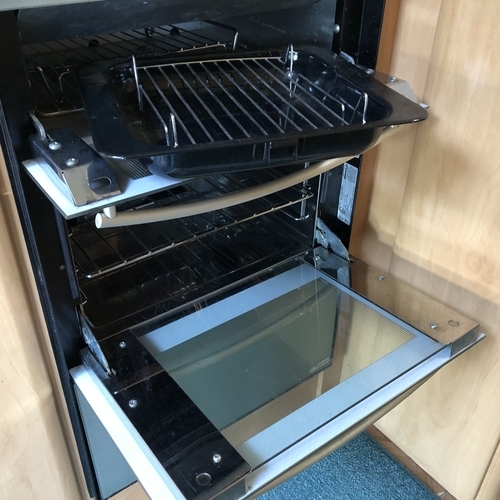 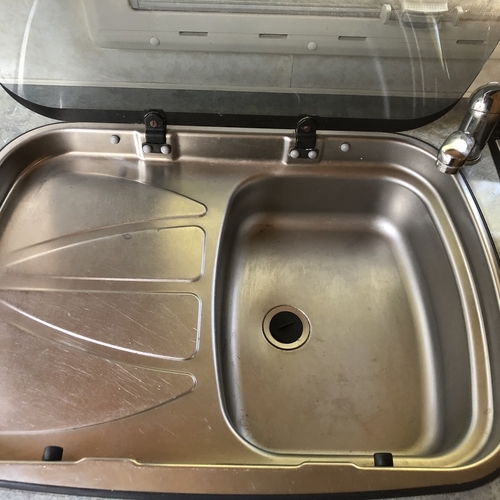 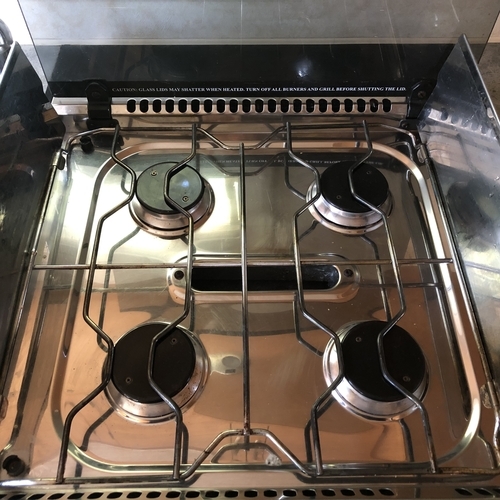 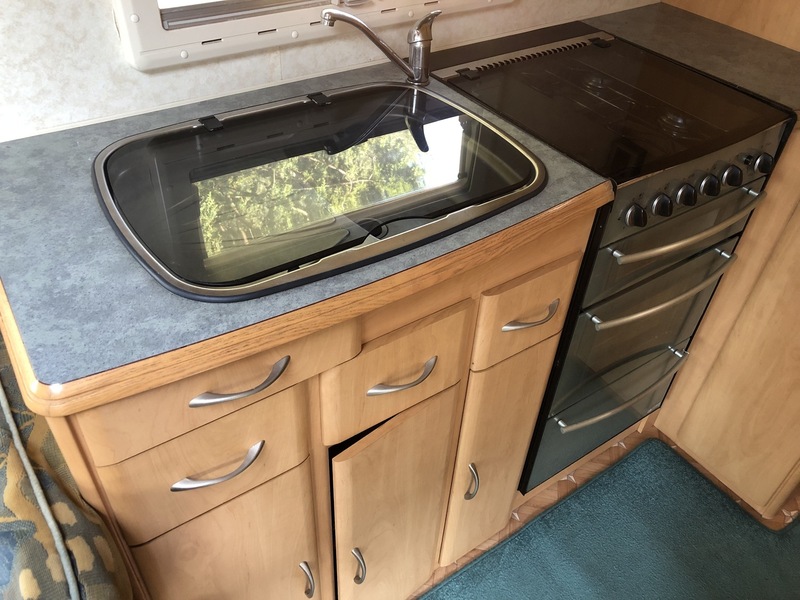 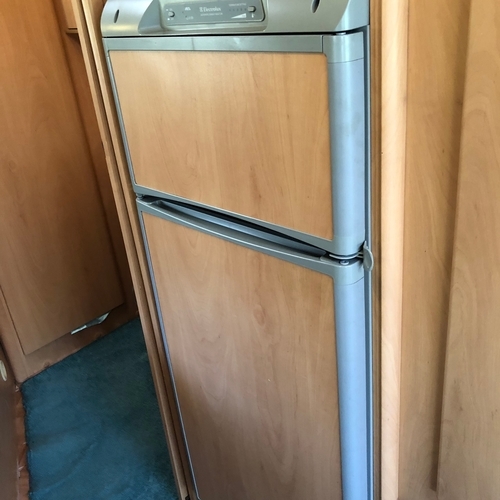 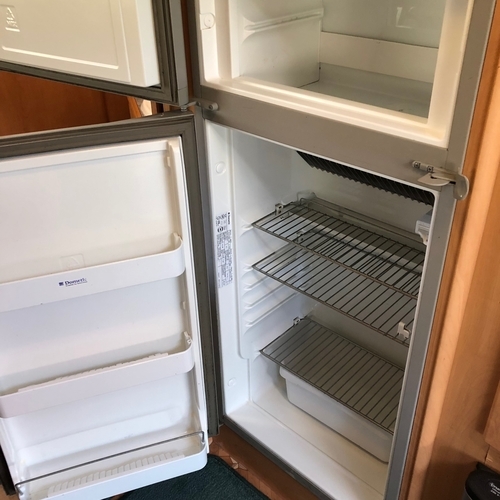 Impressive specification to include: ALKO chassis, Truma gas blown air heating/water heater, gas cooker, 4 ring gas hob, gas grill, Thetford cassette toilet, shower, 2 x sinks with hot/cold tap, Full size 3 way Dometic RM6505 fridge/freezer (12v/240v/gas), blinds/flyscreens/curtains, large Heiki rooflight, TV point with roof mounted digital TV aerial, leisure battery, 12v lighting, 240v hook up, CD player, table(s), fresh water tank, grey water tank, removable tailored carpets, motorised Fiamma step, reversing camera, rear ladder, roof rails, tow bar, humongous Fiamma ZIP wind out awning complete with zip on sides which creates a (humongous!) 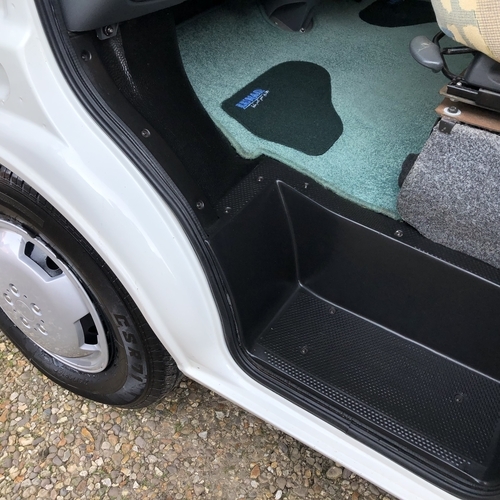 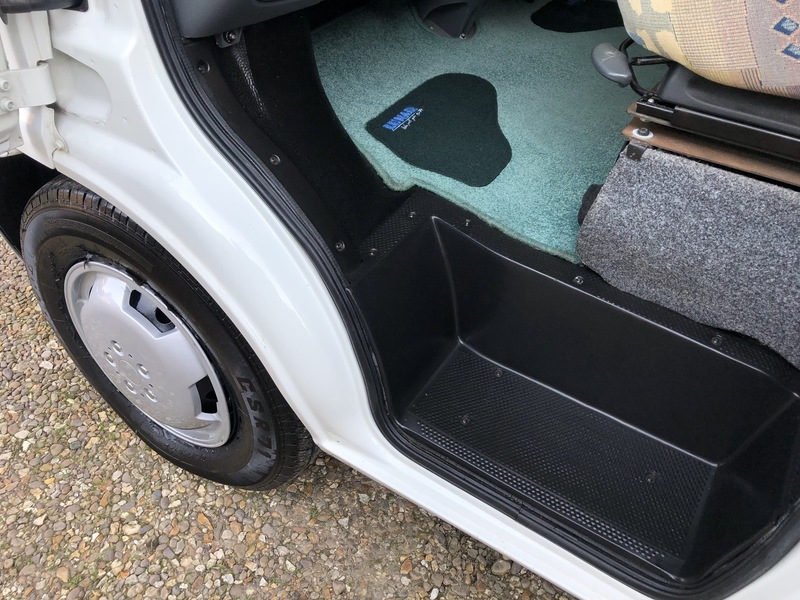 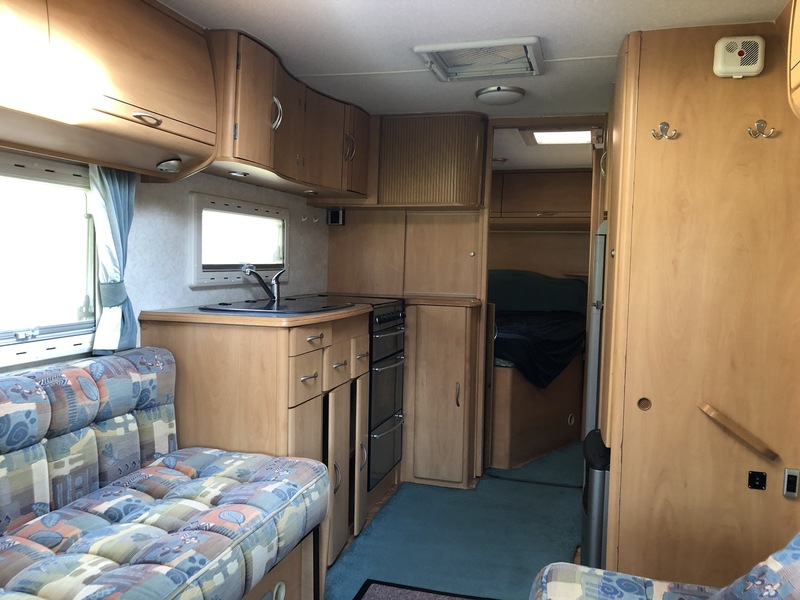 room, Fiamma bike rack, huge external locker to rear, full width external locker accesible from both sides, both front seats rotate 360. 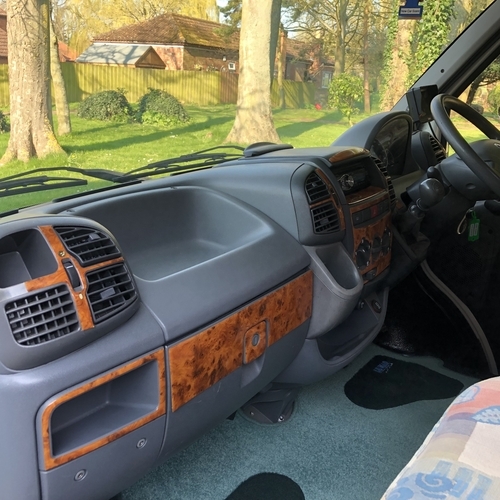 Comes with V5 log book, all appliance handbooks, original Lunar Roadstar manual, old MOT's, some invoices, 2 x sets of keys. 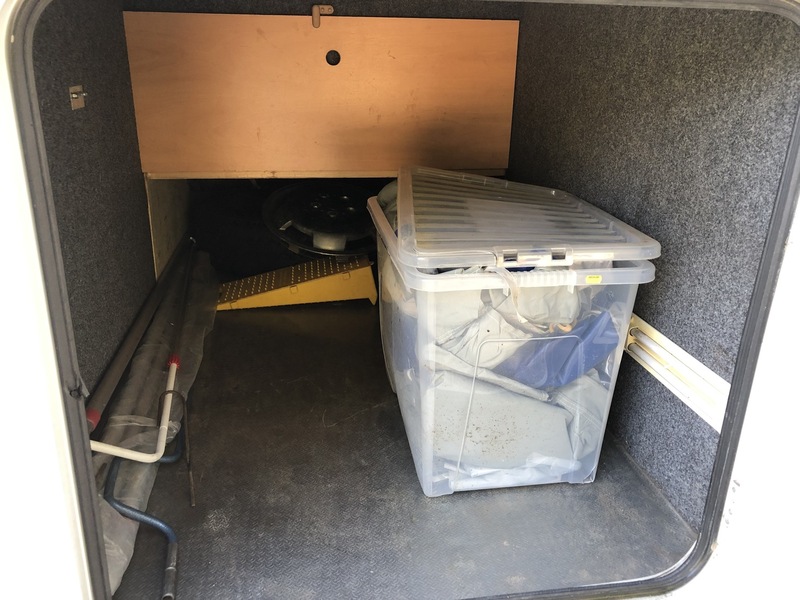 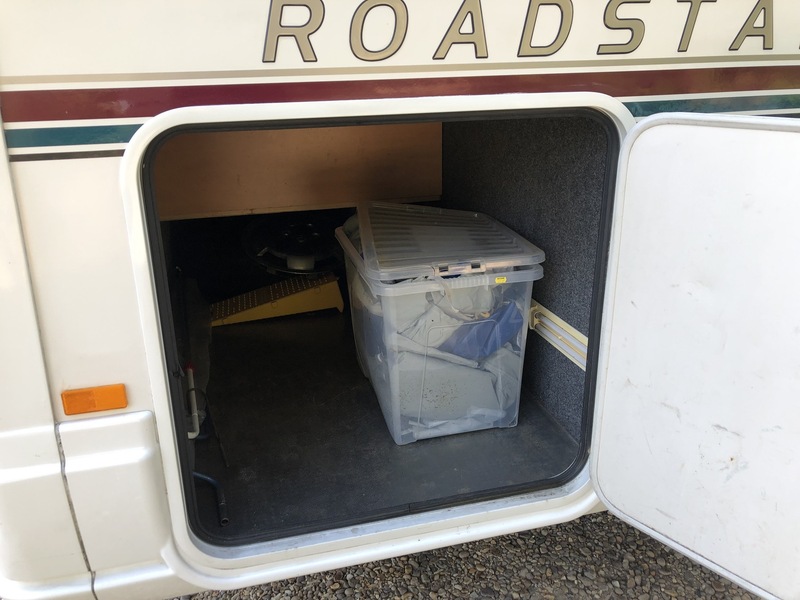 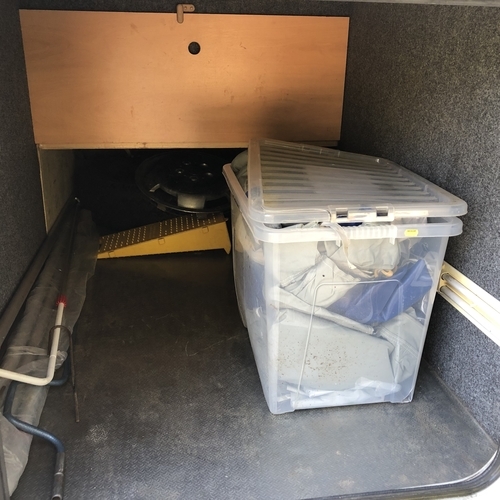 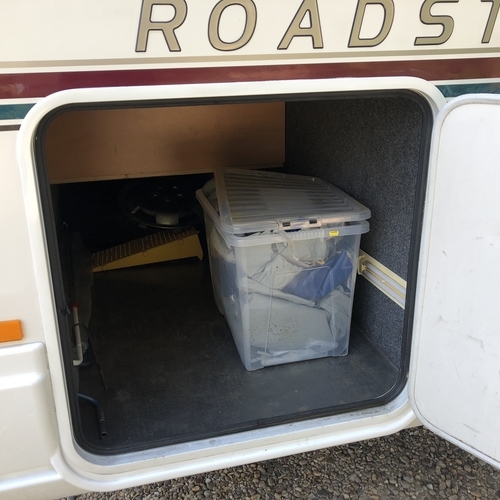 A massive box file full of stuff! 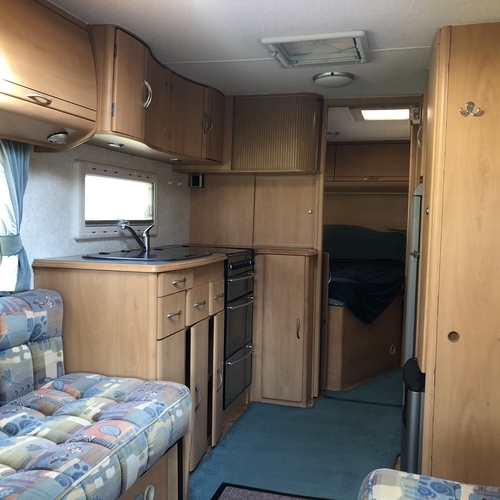 A lovely huge 6 berth motorhome with a fabulous specification. 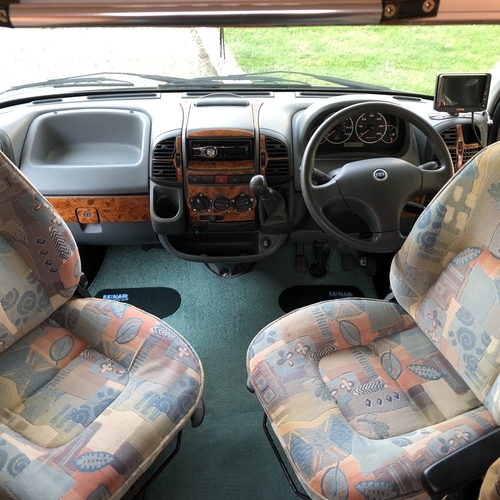 Super low mileage and drives absolutely first class. 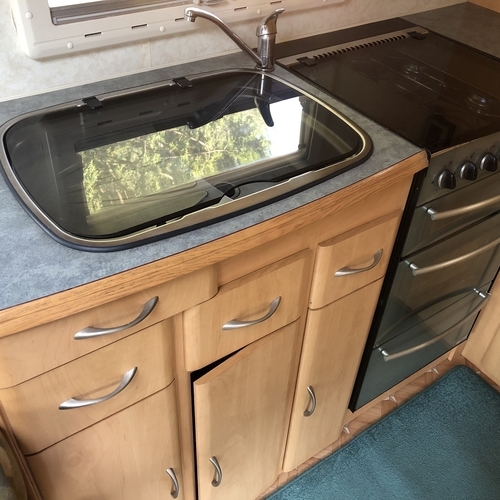 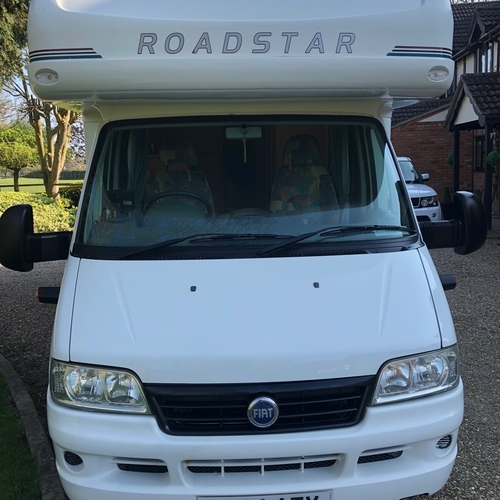 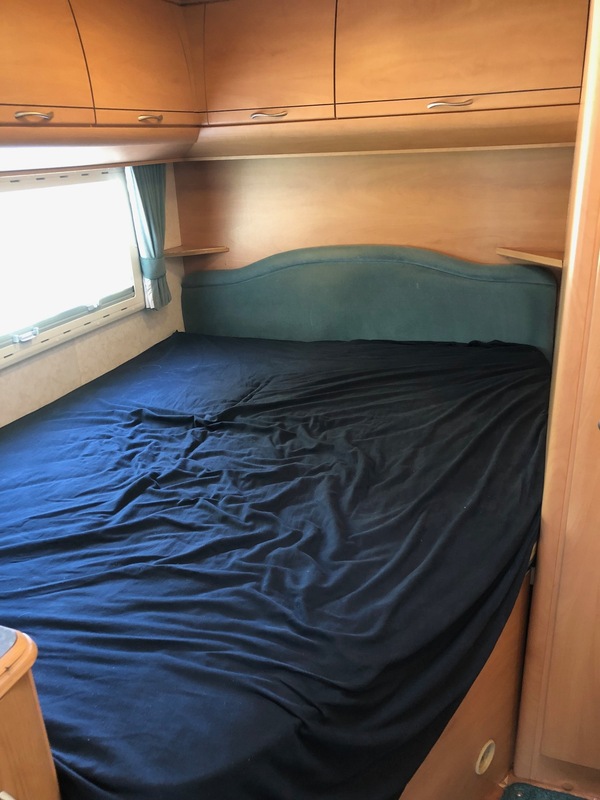 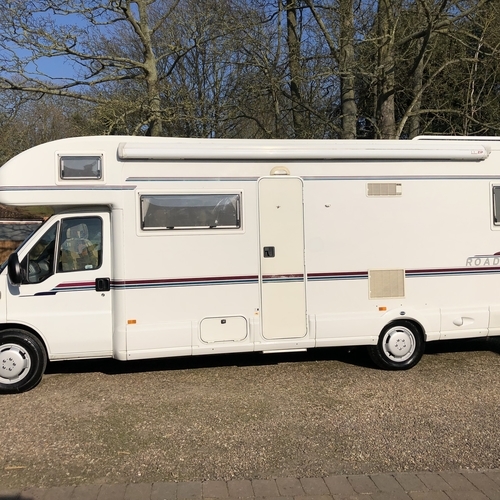 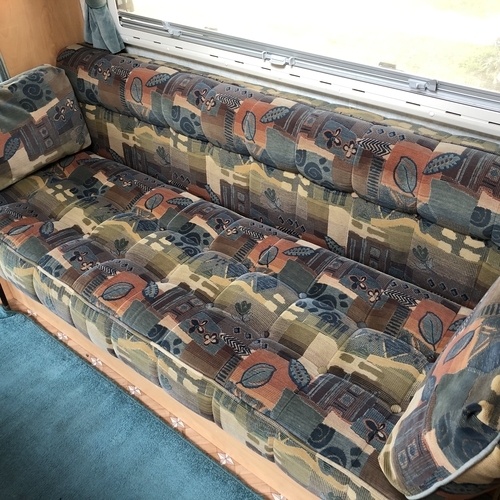 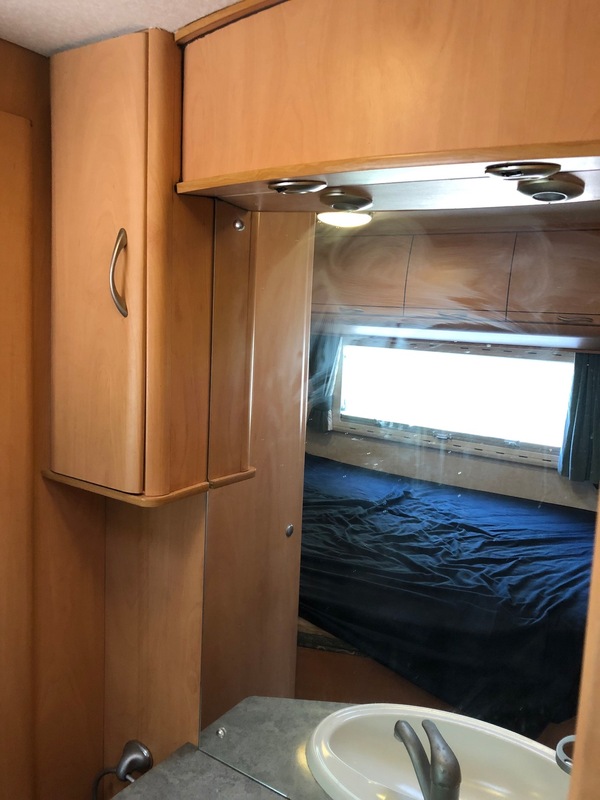 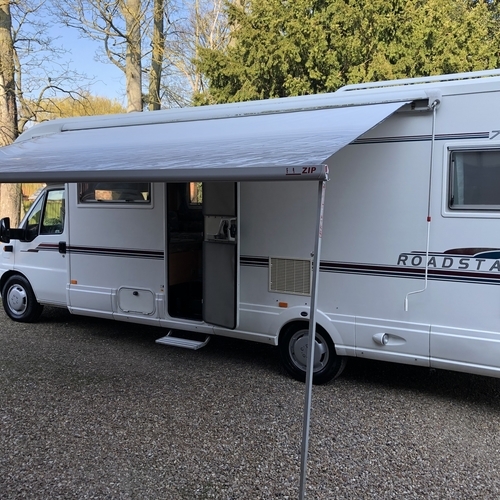 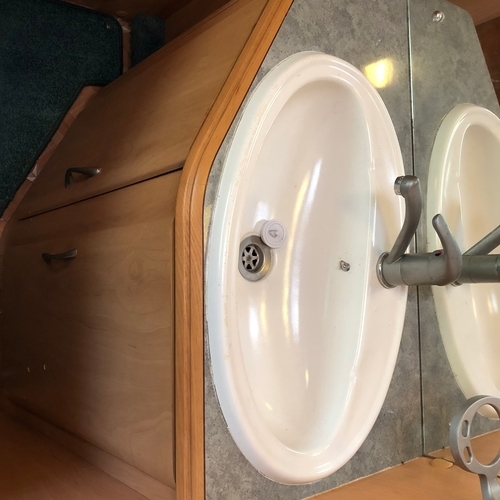 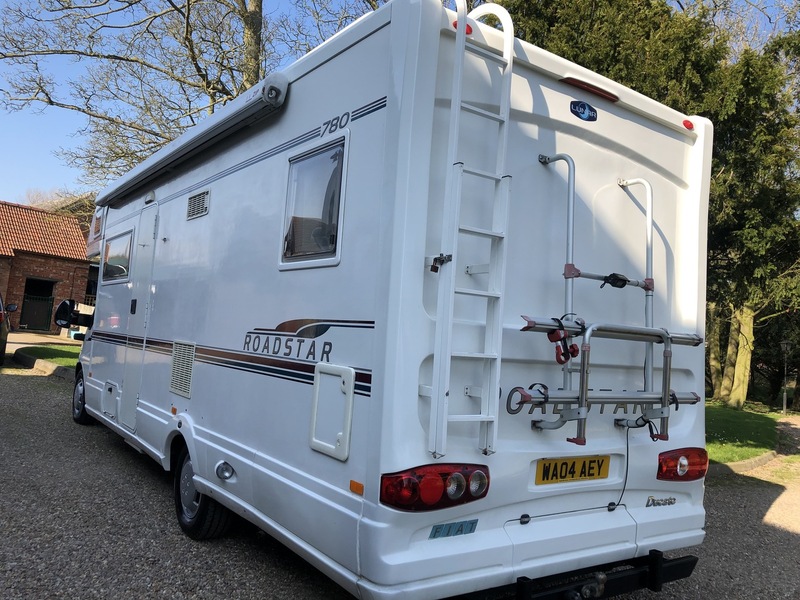 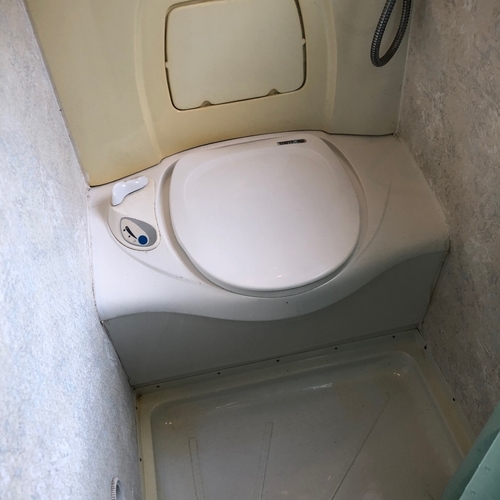 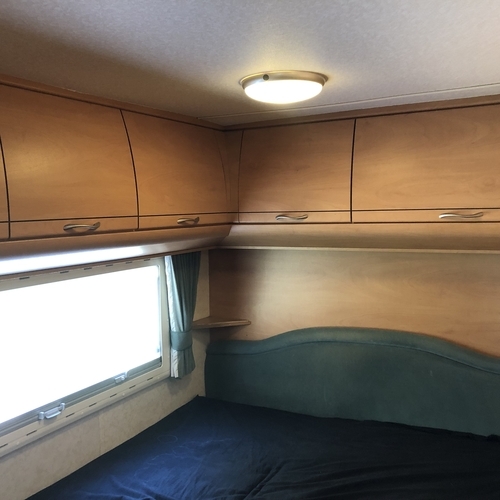 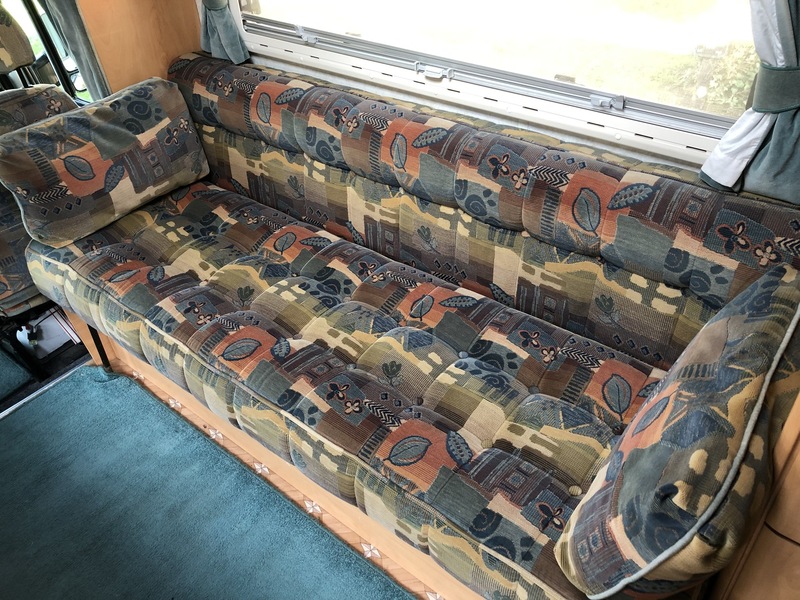 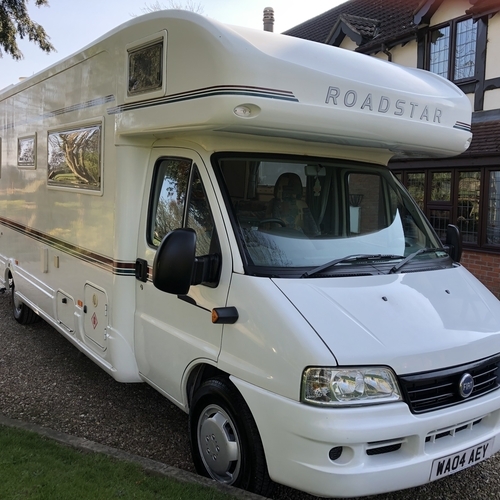 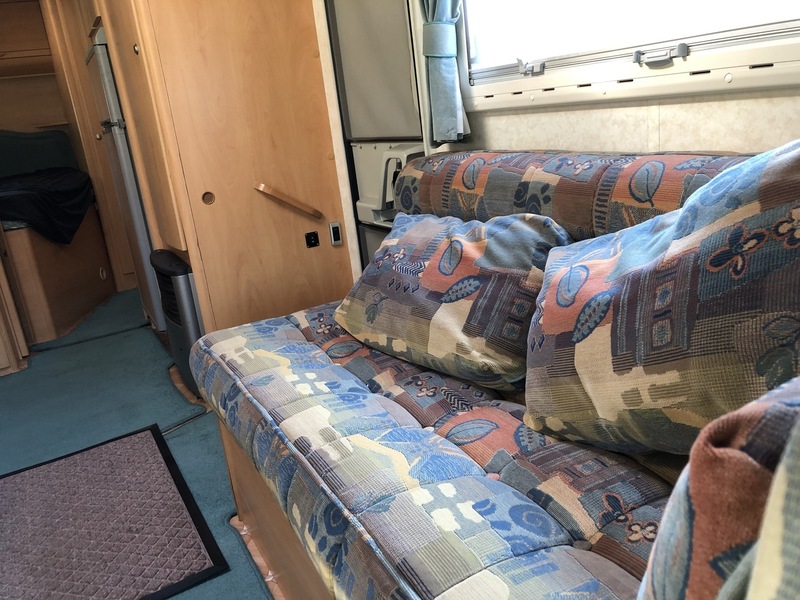 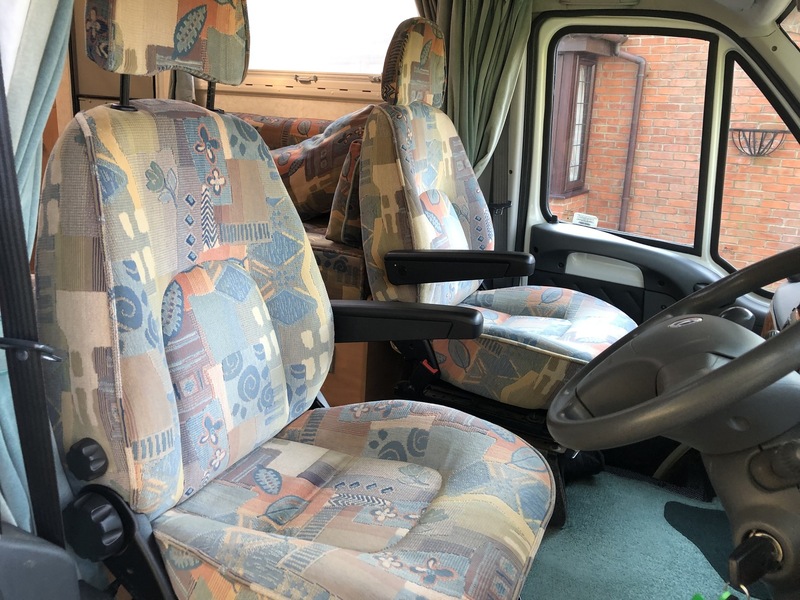 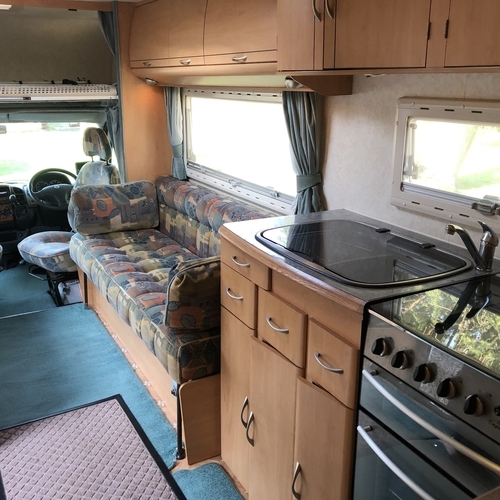 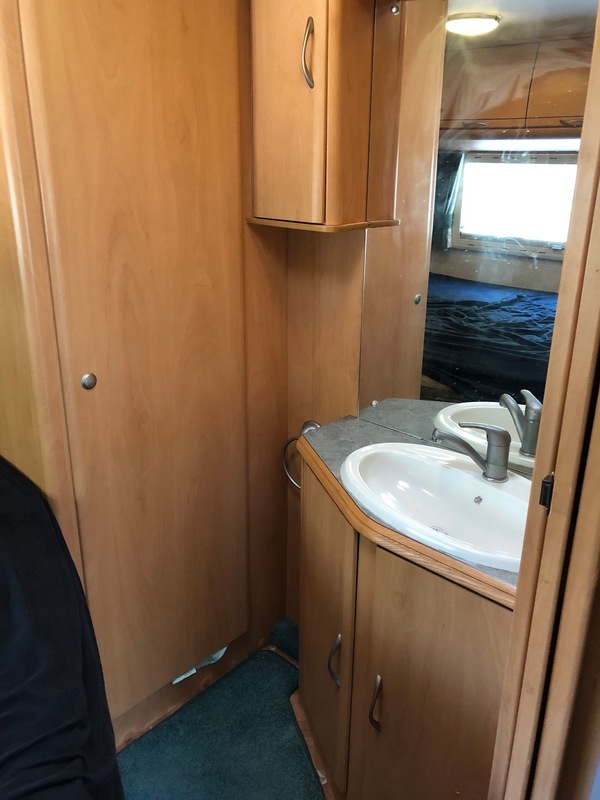 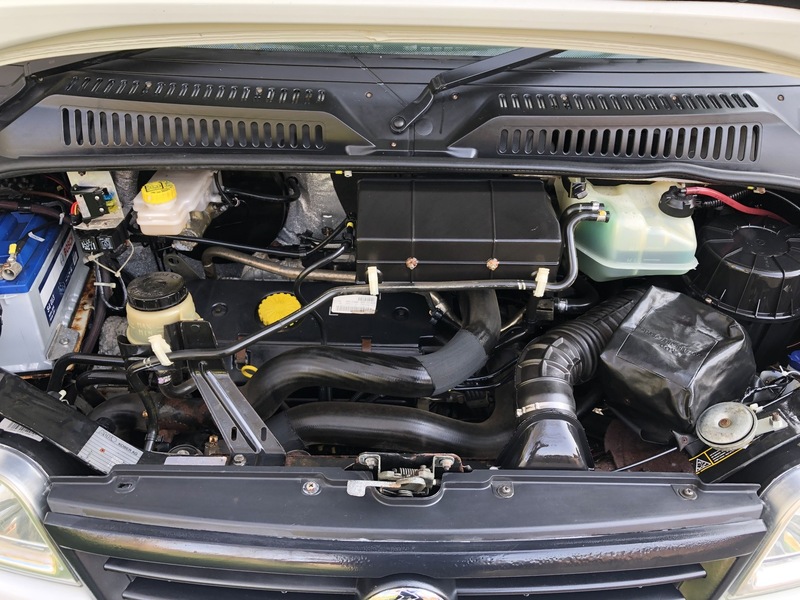 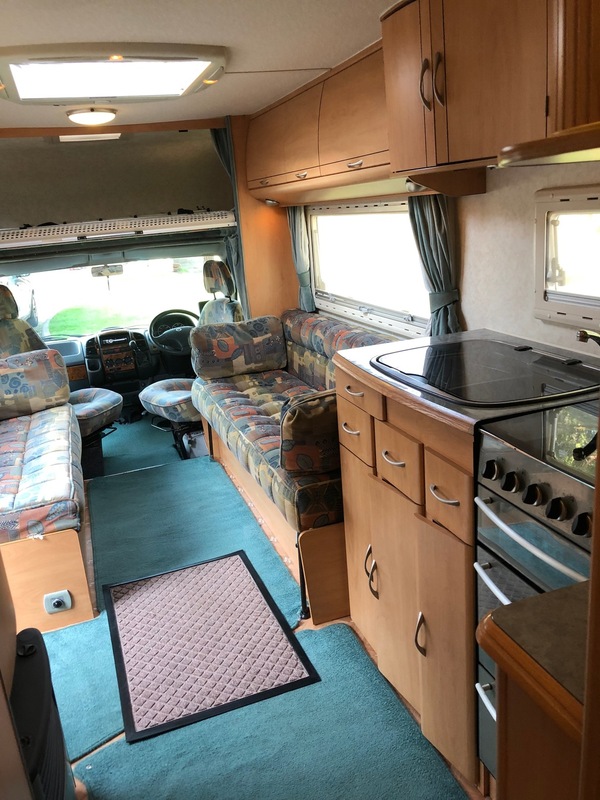 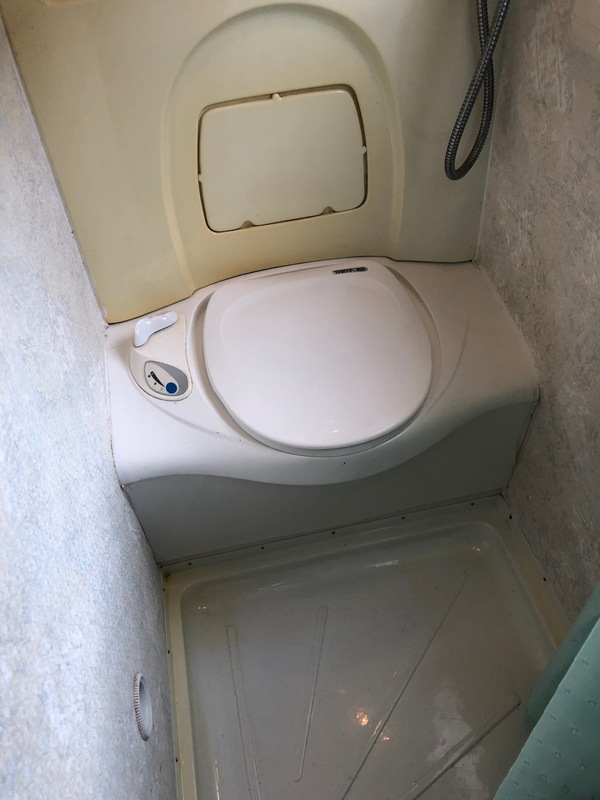 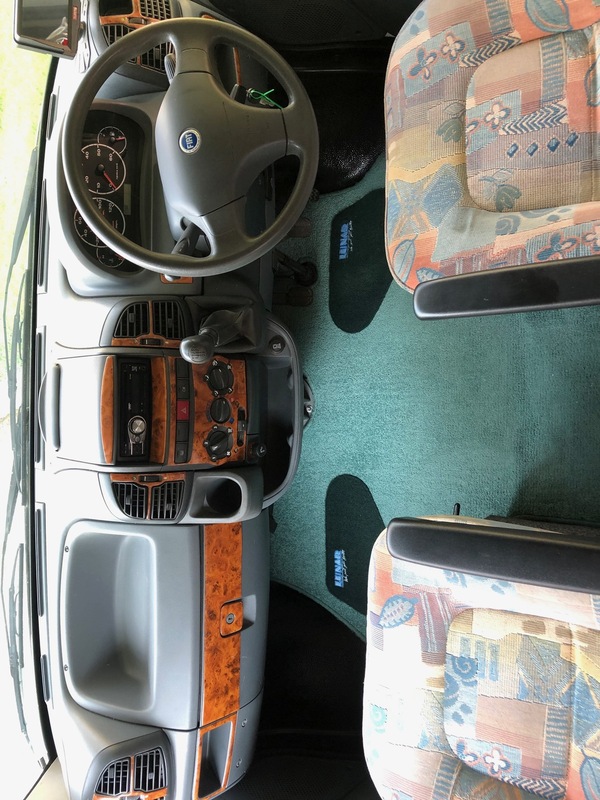 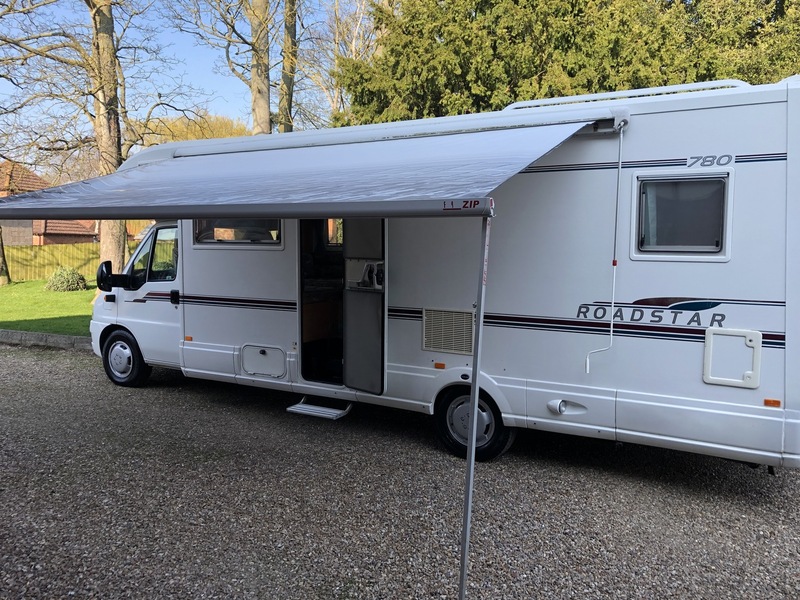 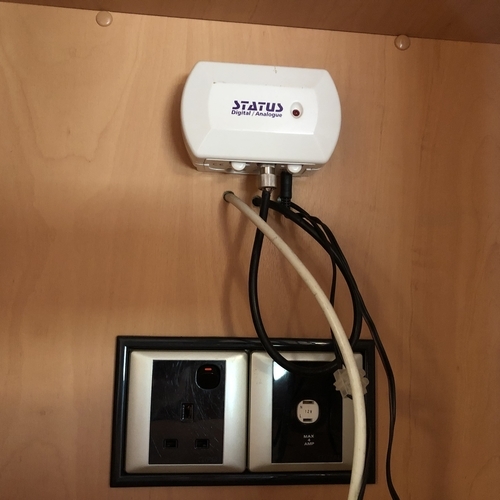 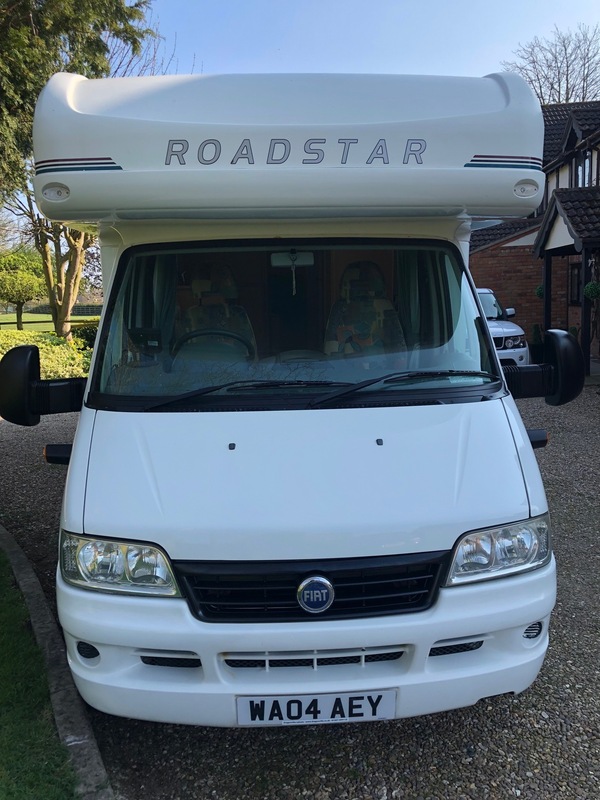 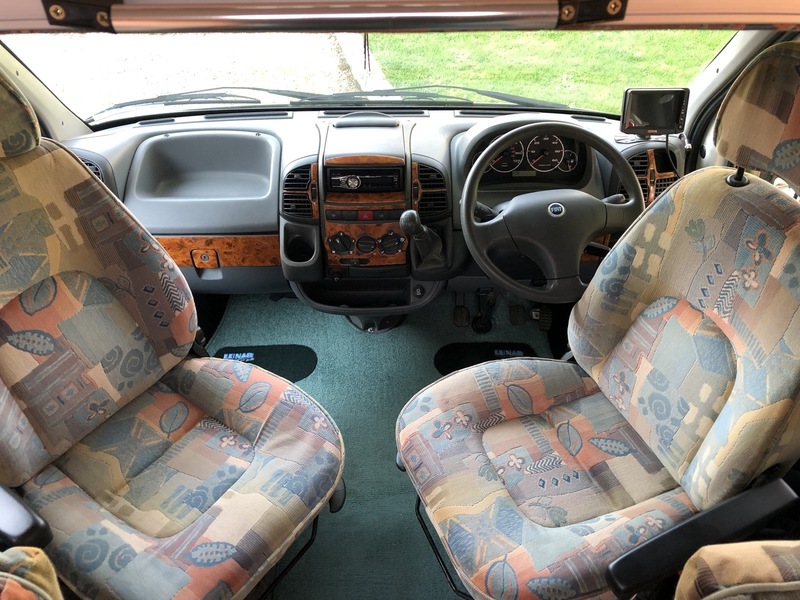 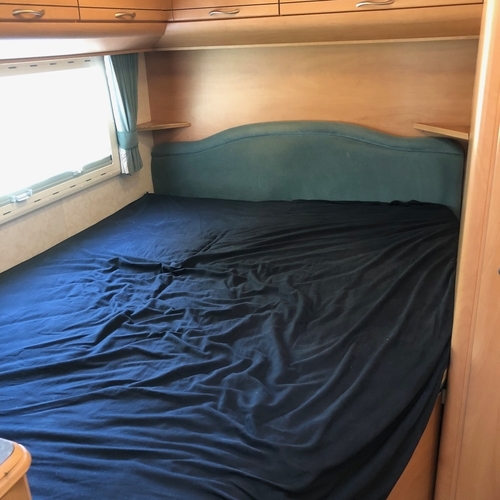 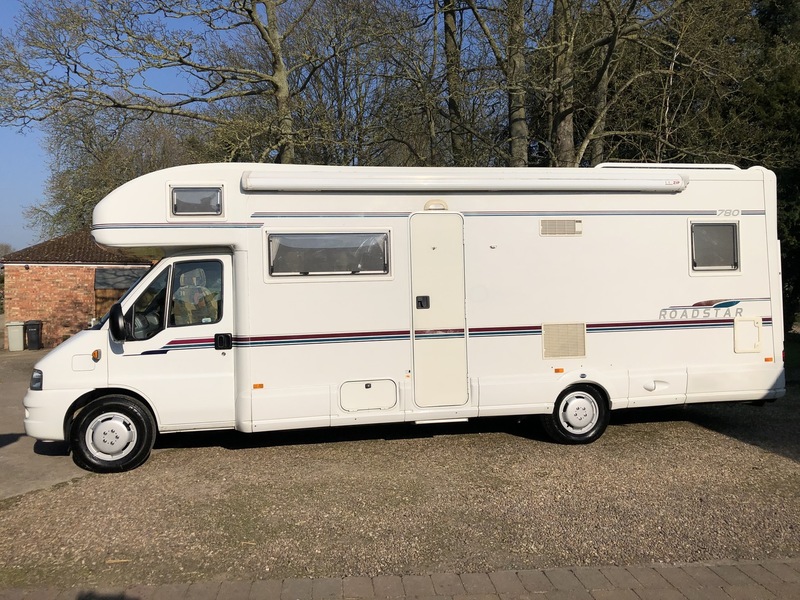 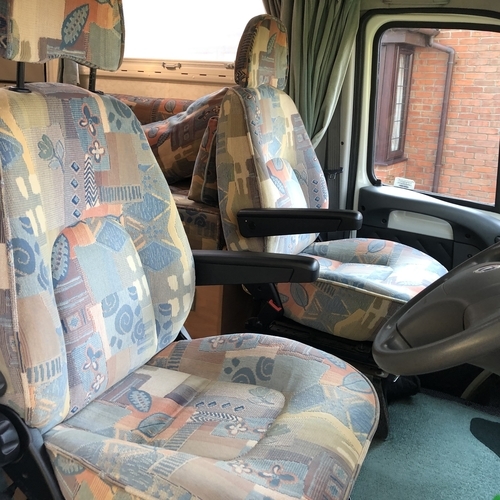 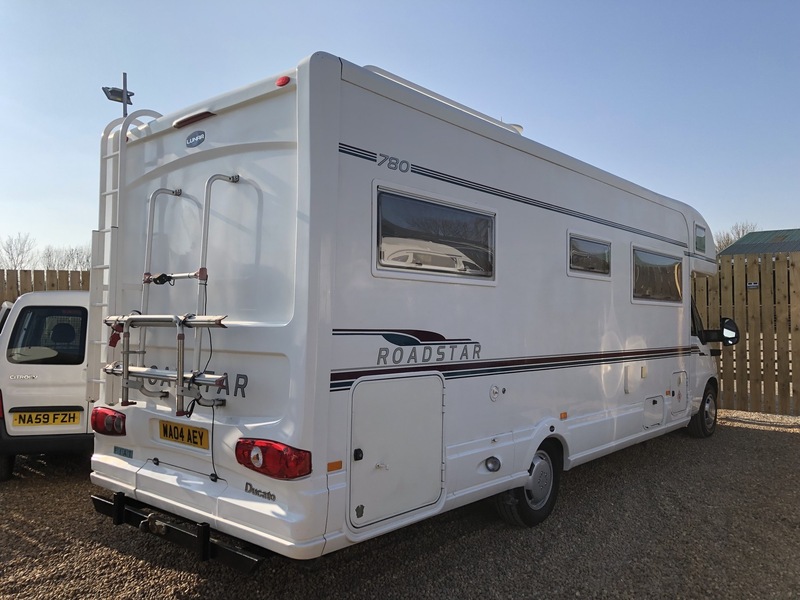 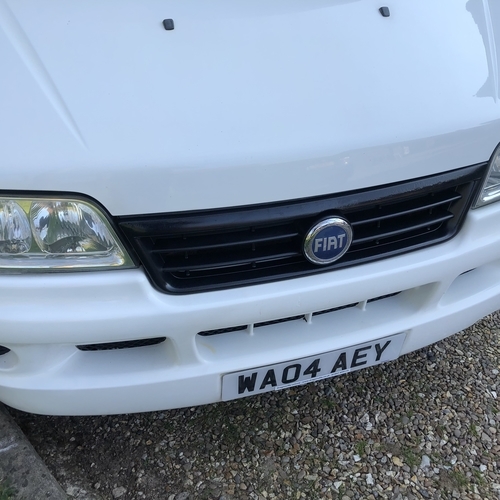 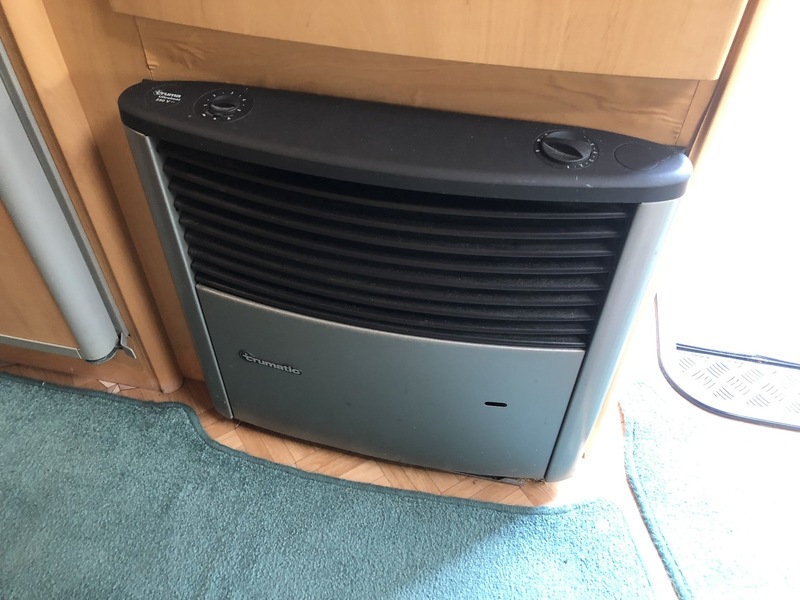 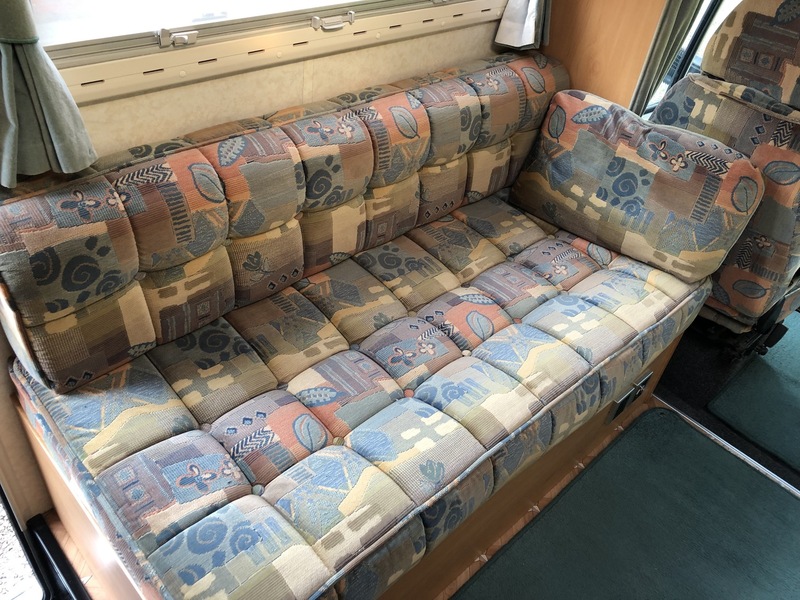 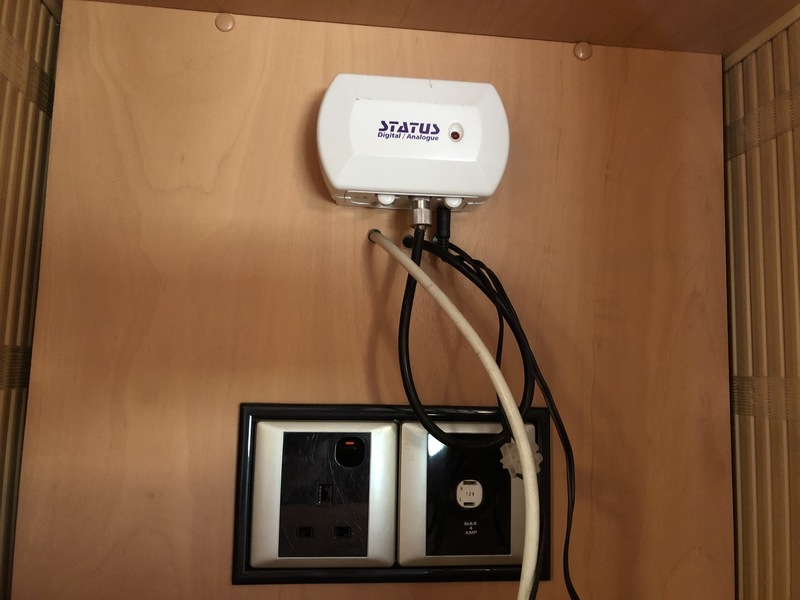 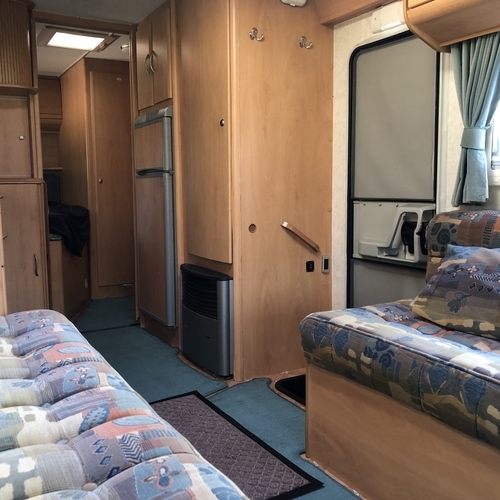 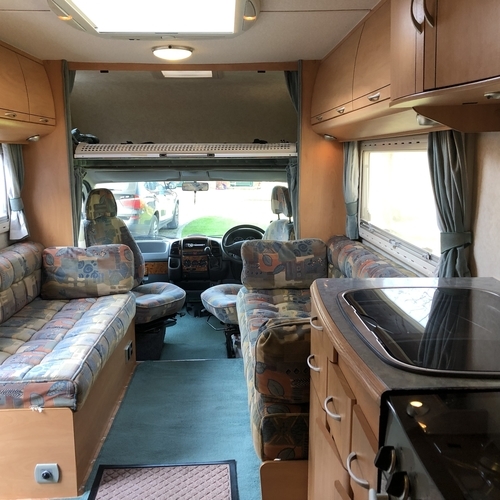 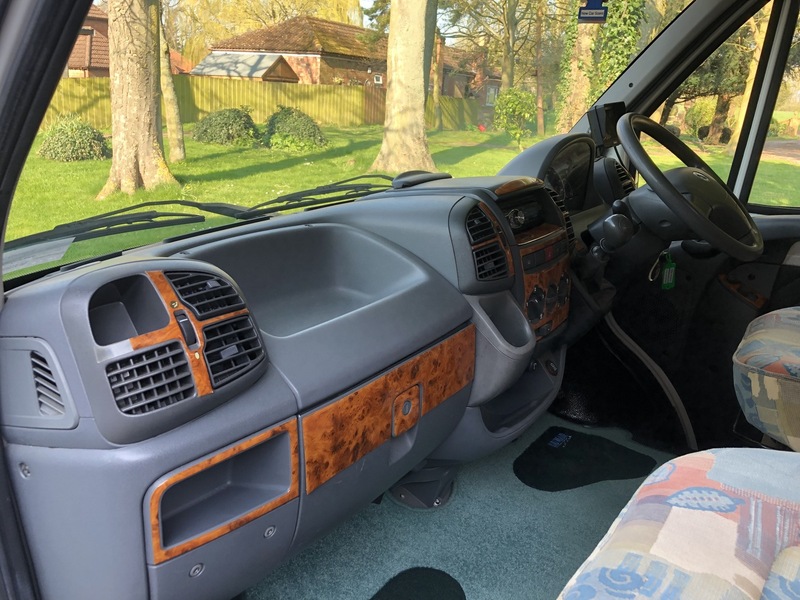 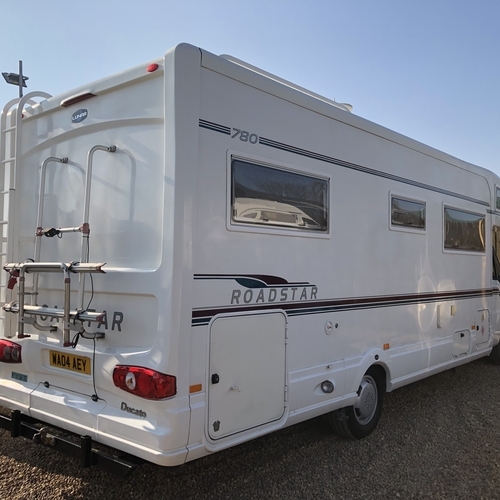 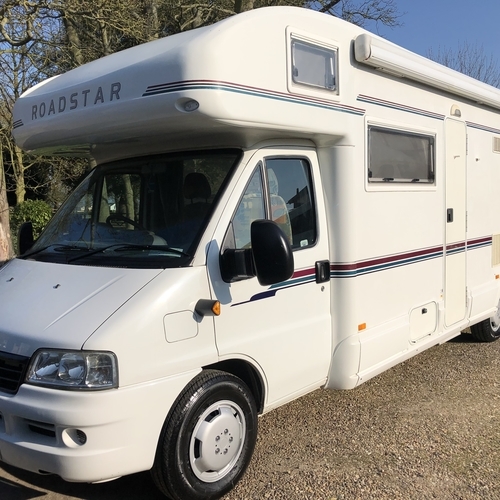 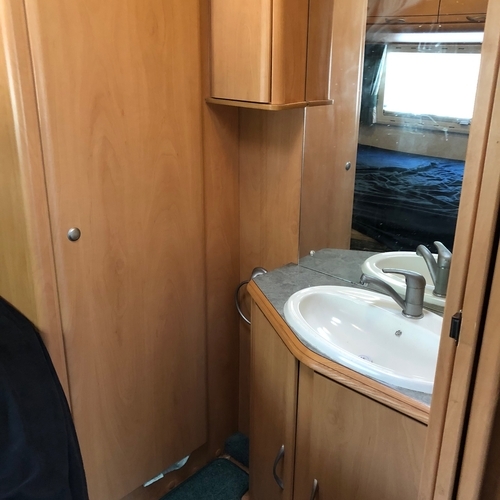 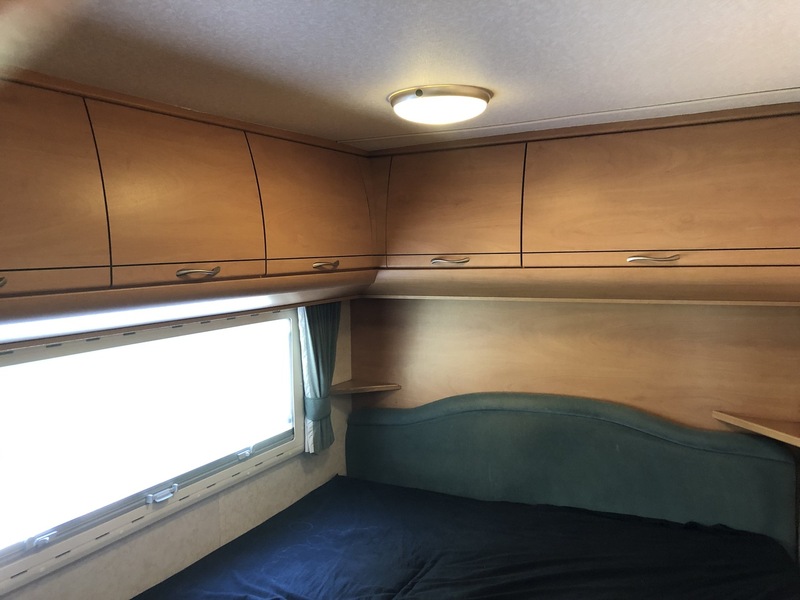 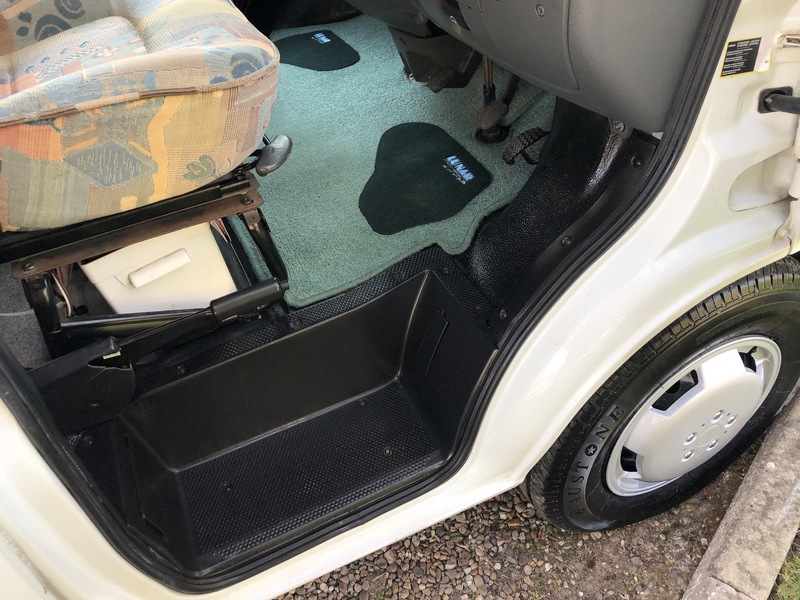 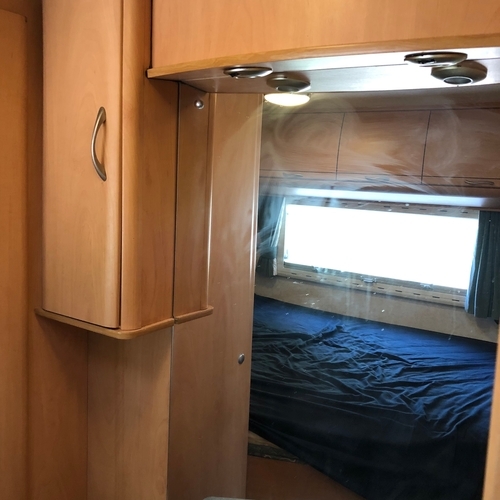 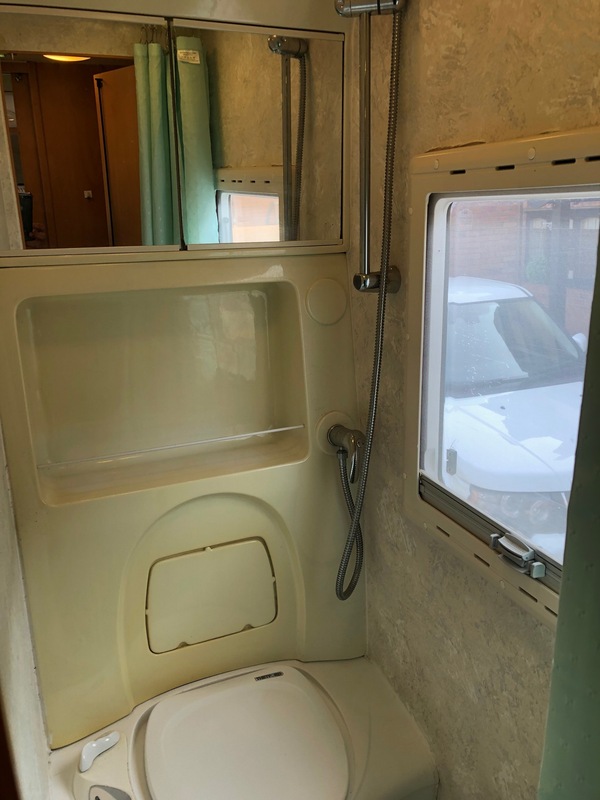 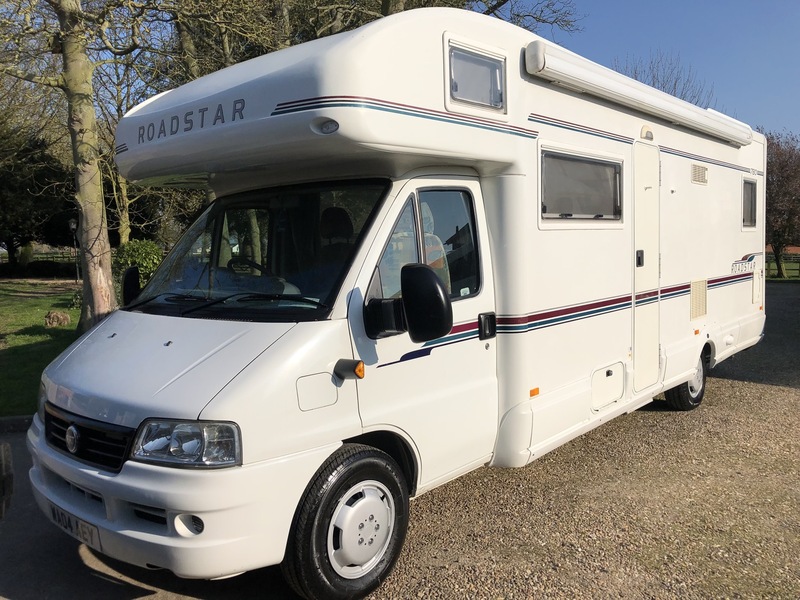 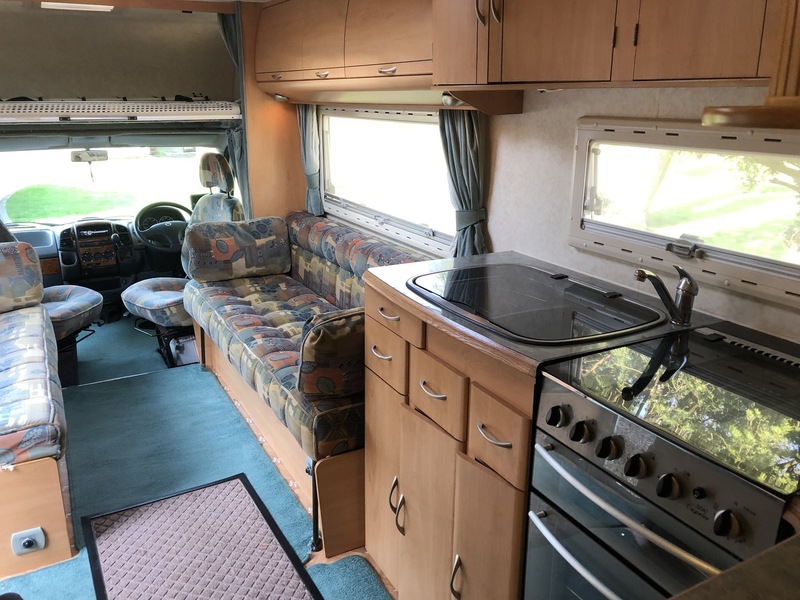 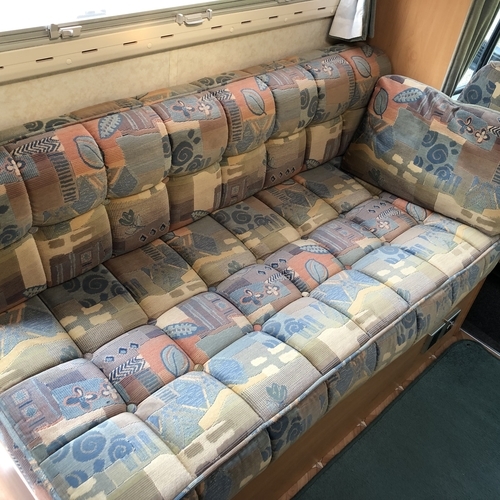 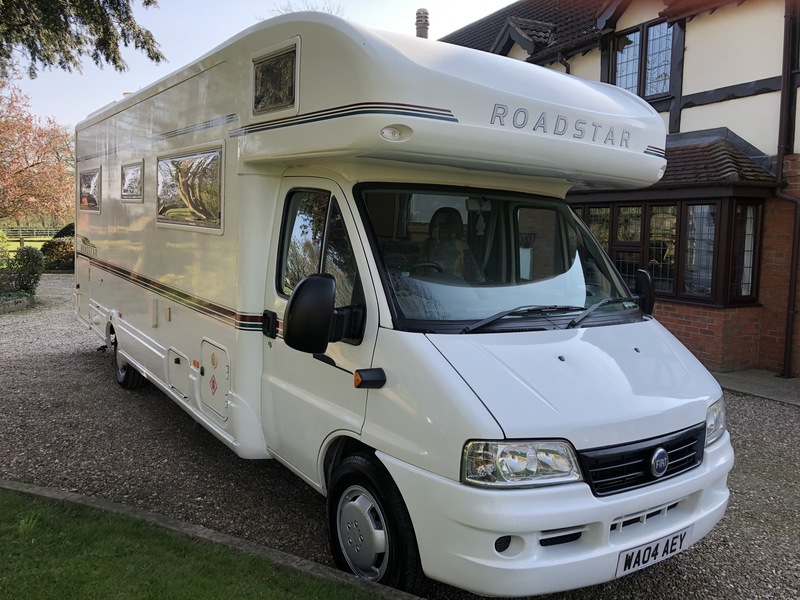 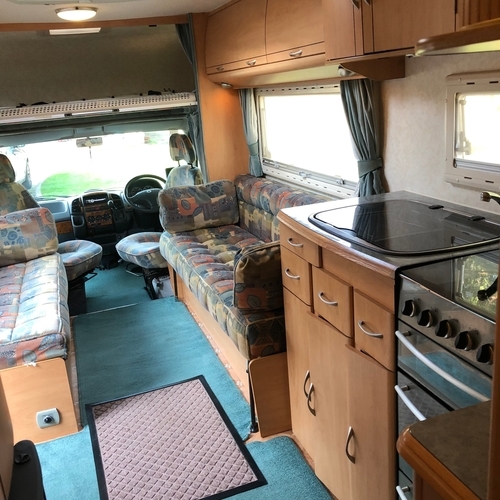 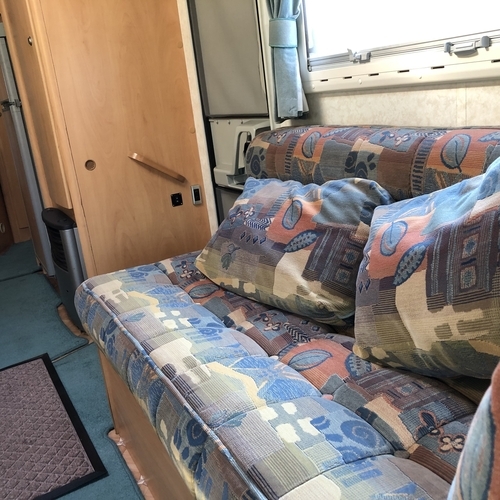 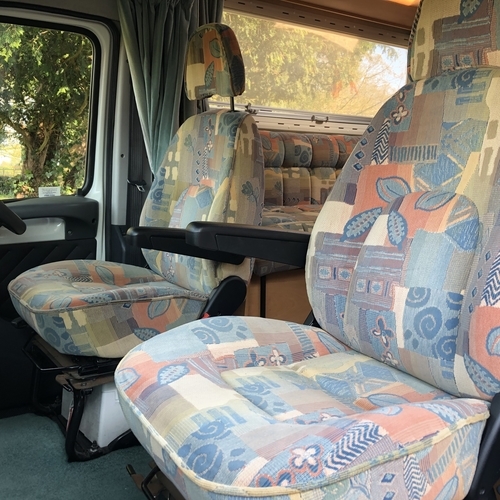 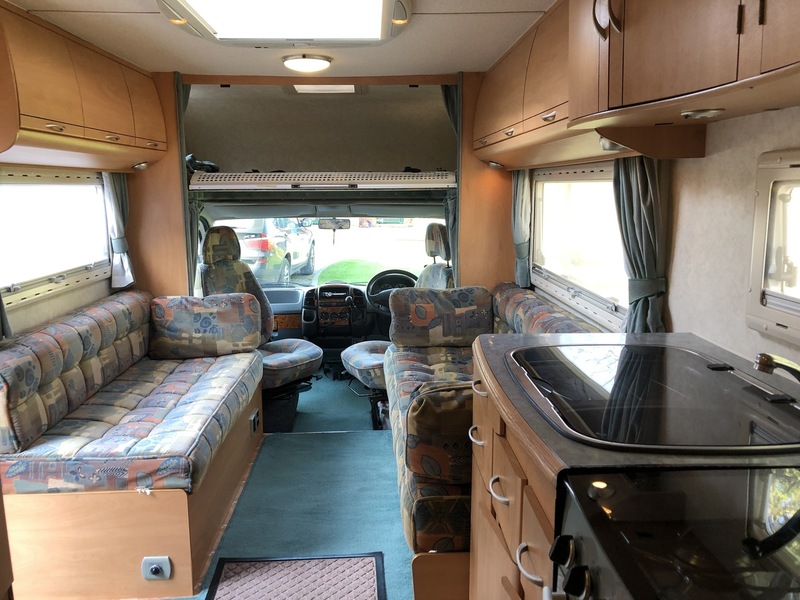 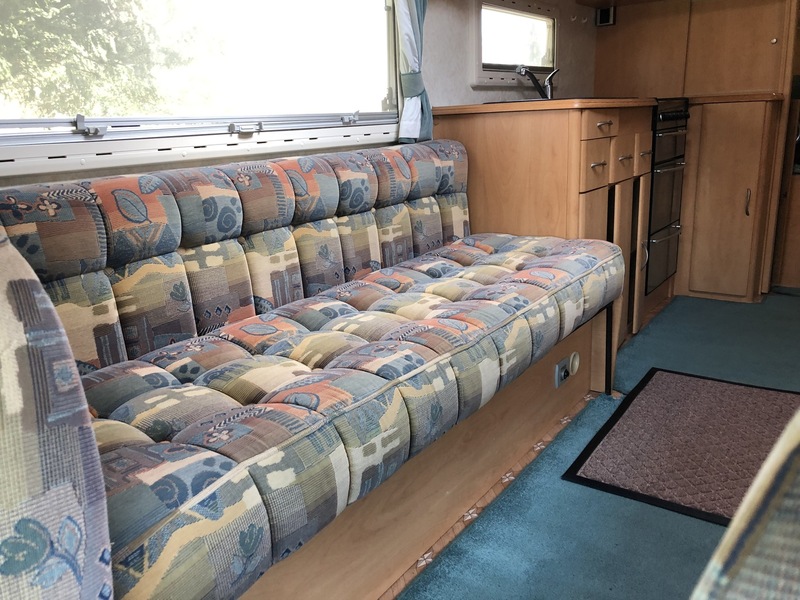 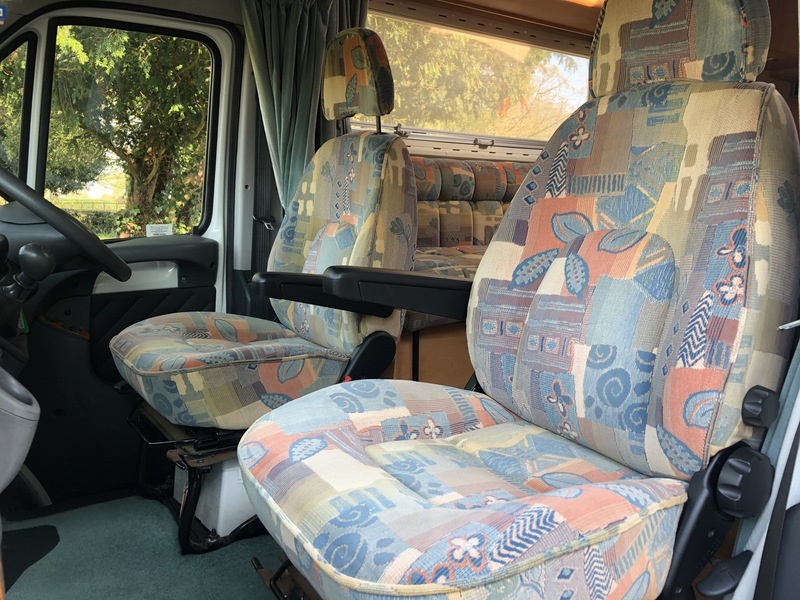 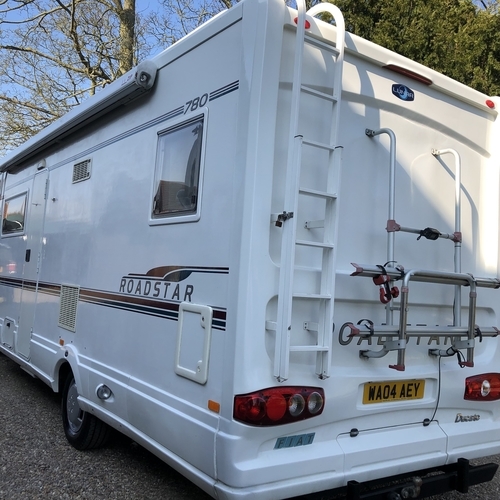 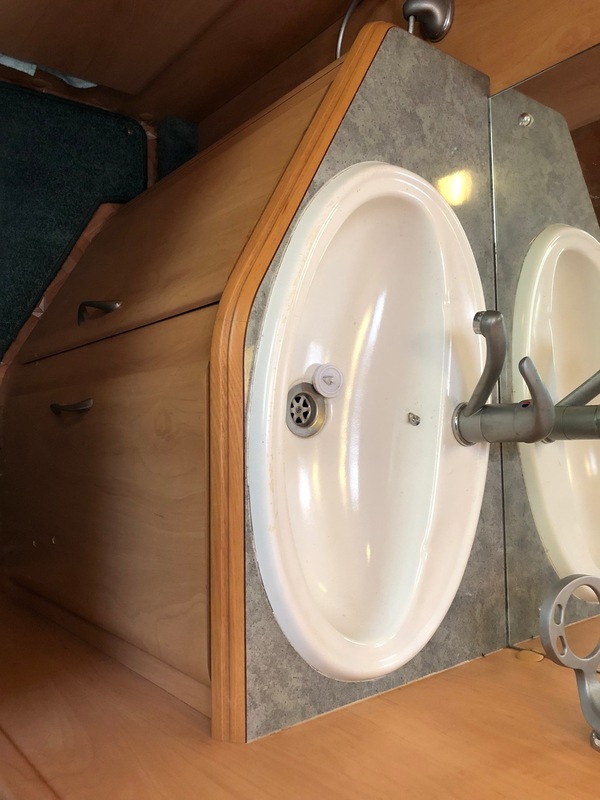 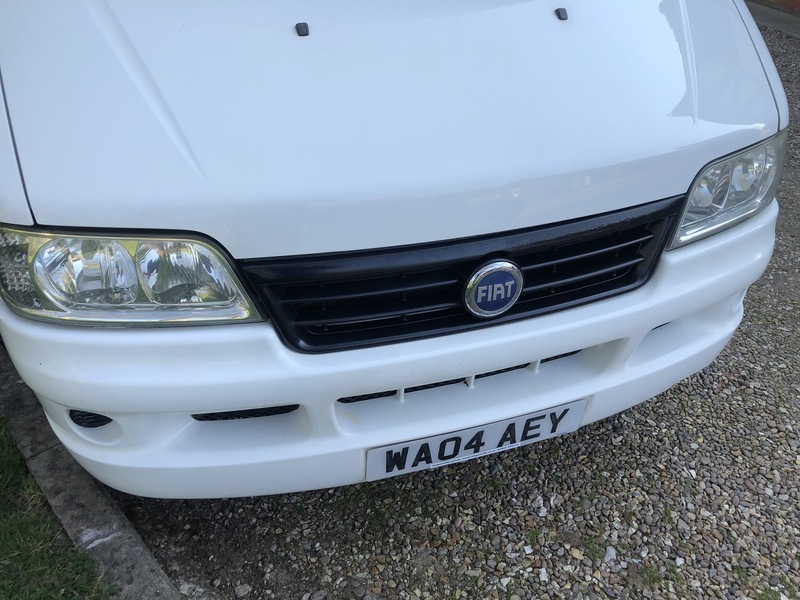 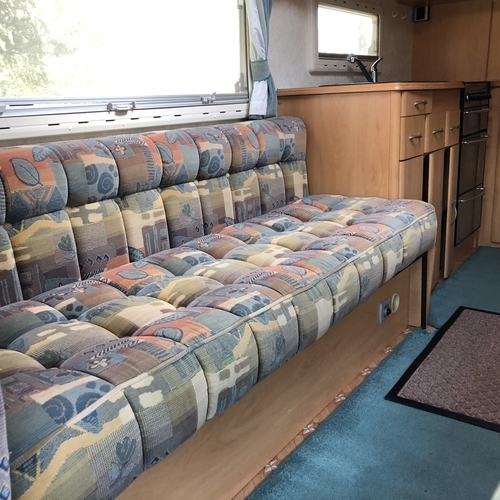 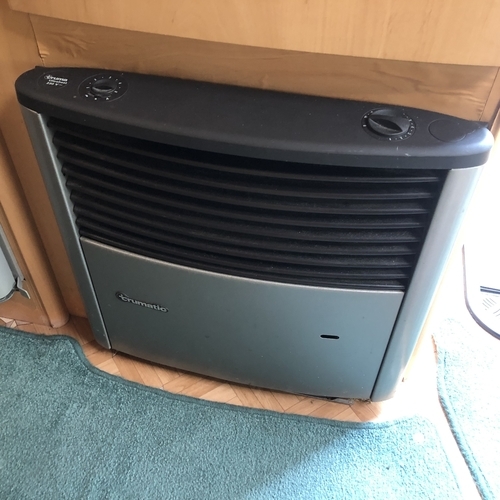 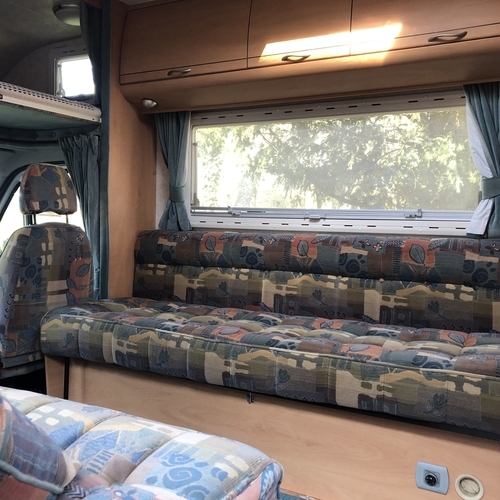 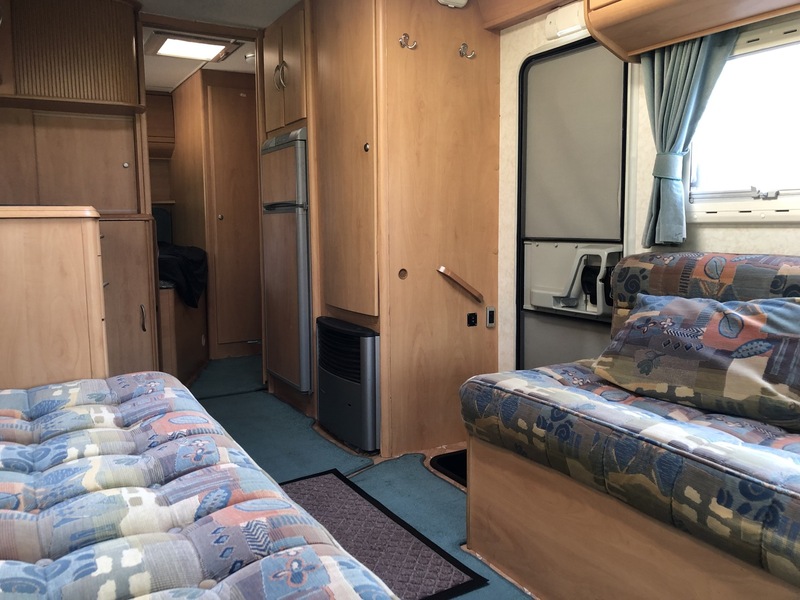 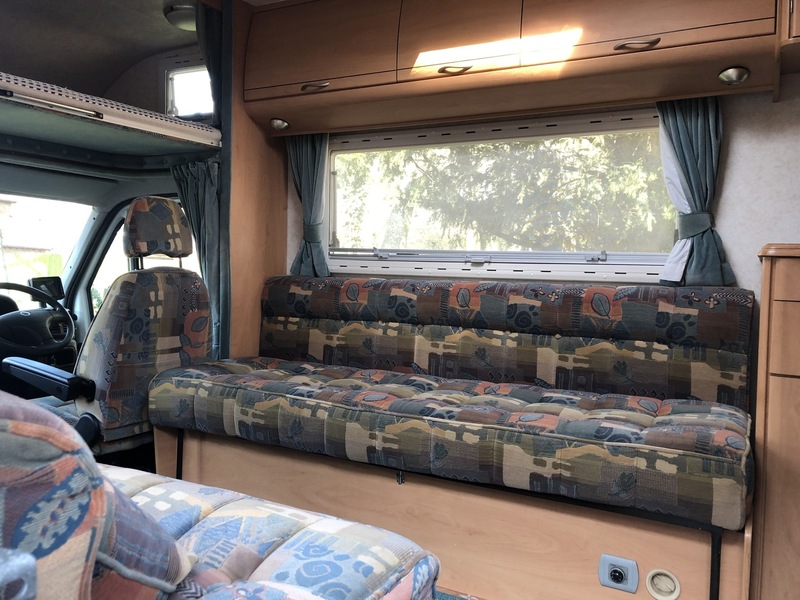 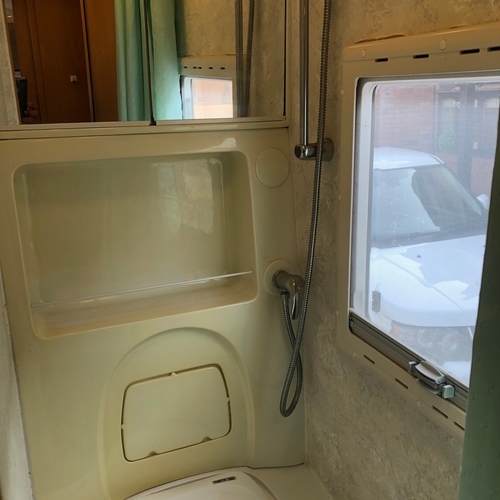 Let's not forget the fact that despite the low mileage this motorhome has just turned 15 yrs of age (it's Birthday was on 01/03) and as such it understandibly has mild wear and tear commensurate with it's age, don't get me wrong as you can see from the HD images it is a lovely clean example but there are a handful of cosmetic imperfections to the rear (huge!) 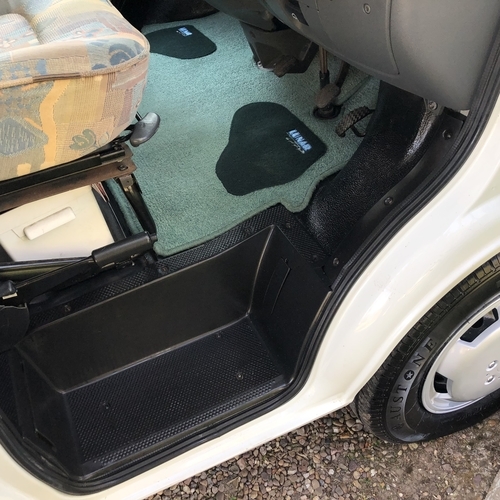 body and some minor wear and tear to the inside (which is all original may I add!). 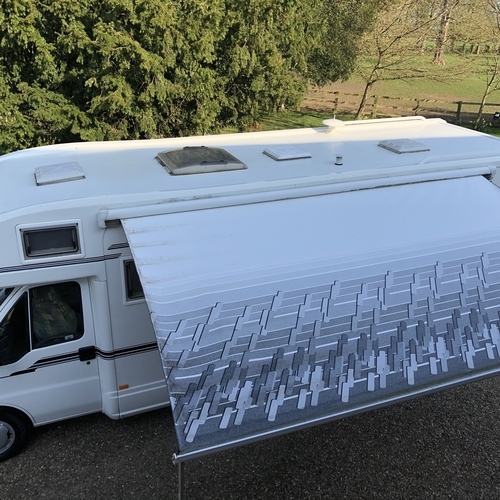 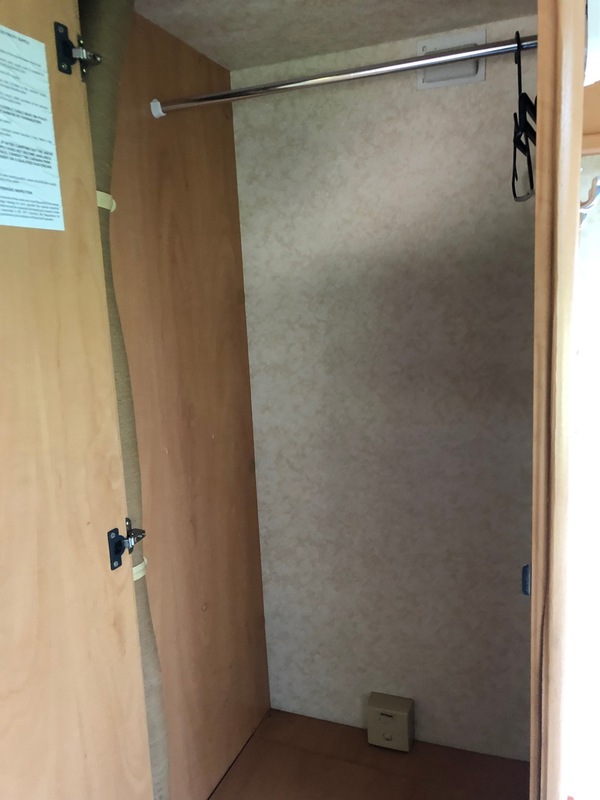 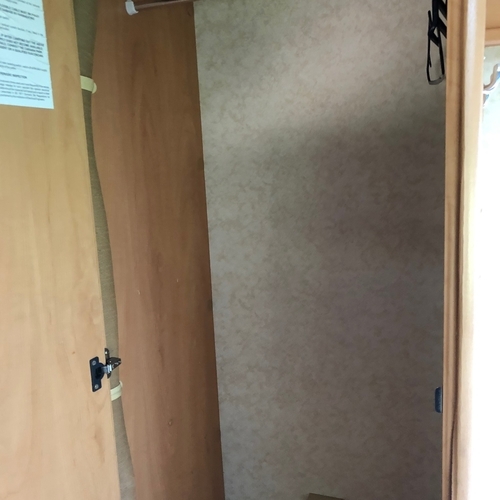 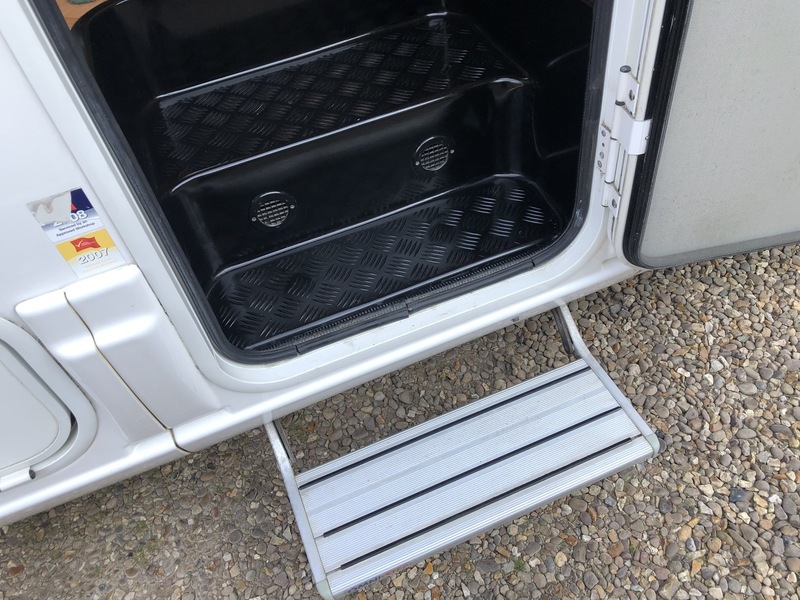 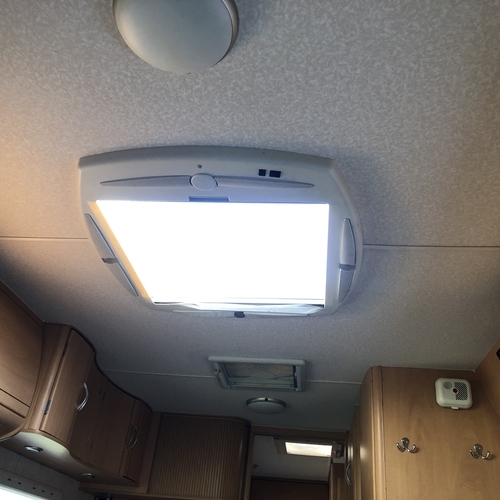 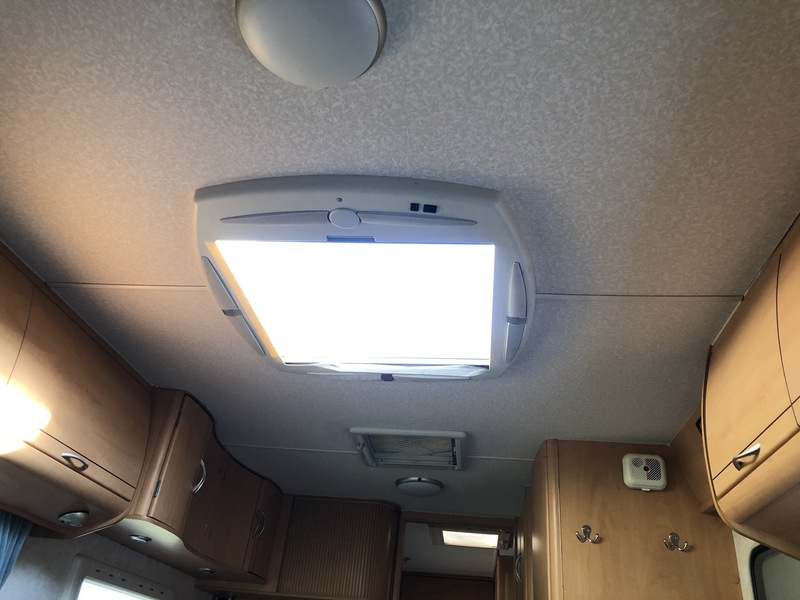 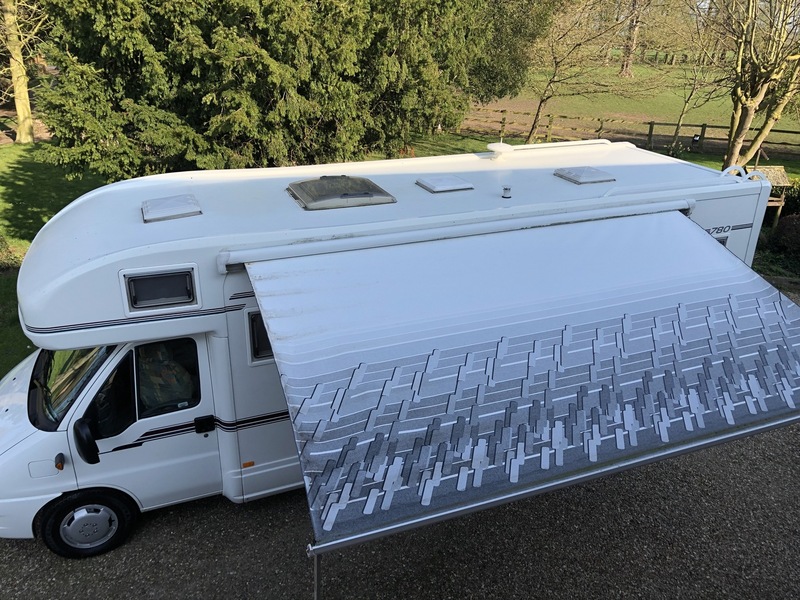 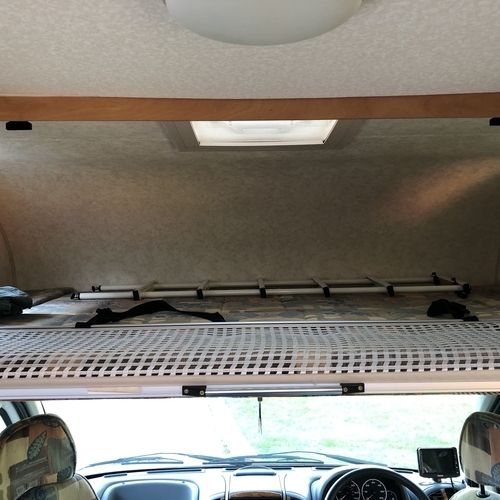 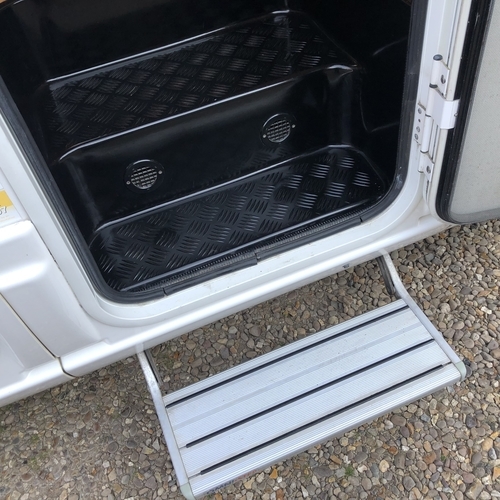 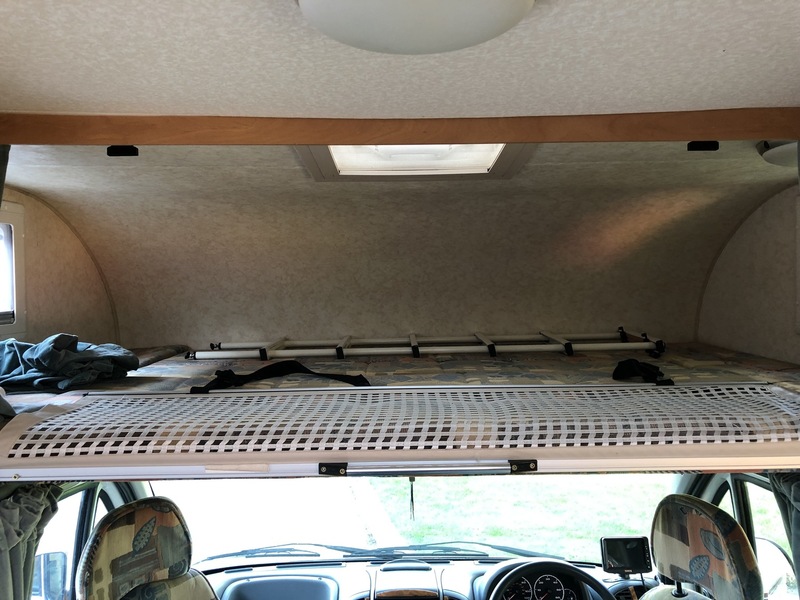 The Fiamma Zip awning room will have cost a kings ransom and really does make a difference if you like plenty of space. 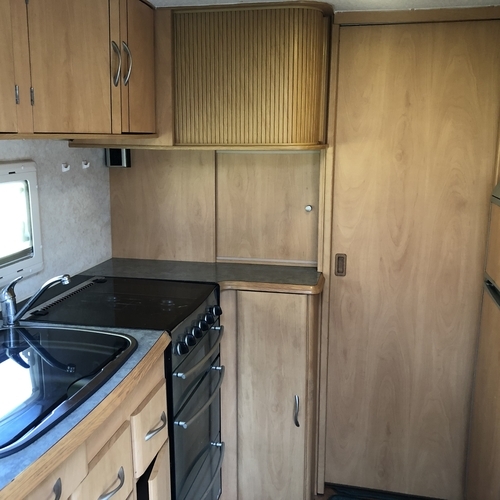 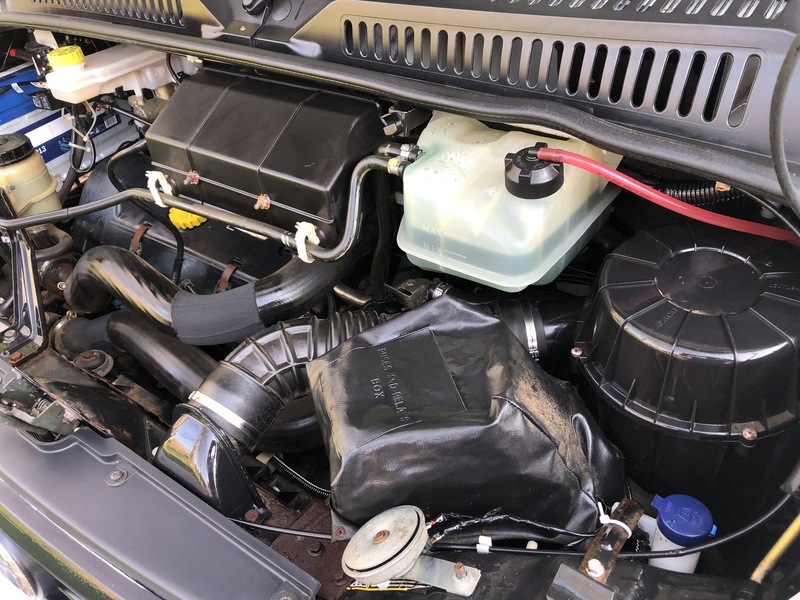 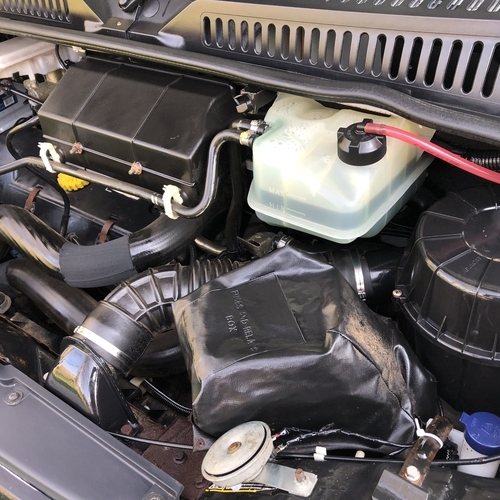 The last owner loved this motorhome for almost 5 years, and the previous owner to him for 6 years.